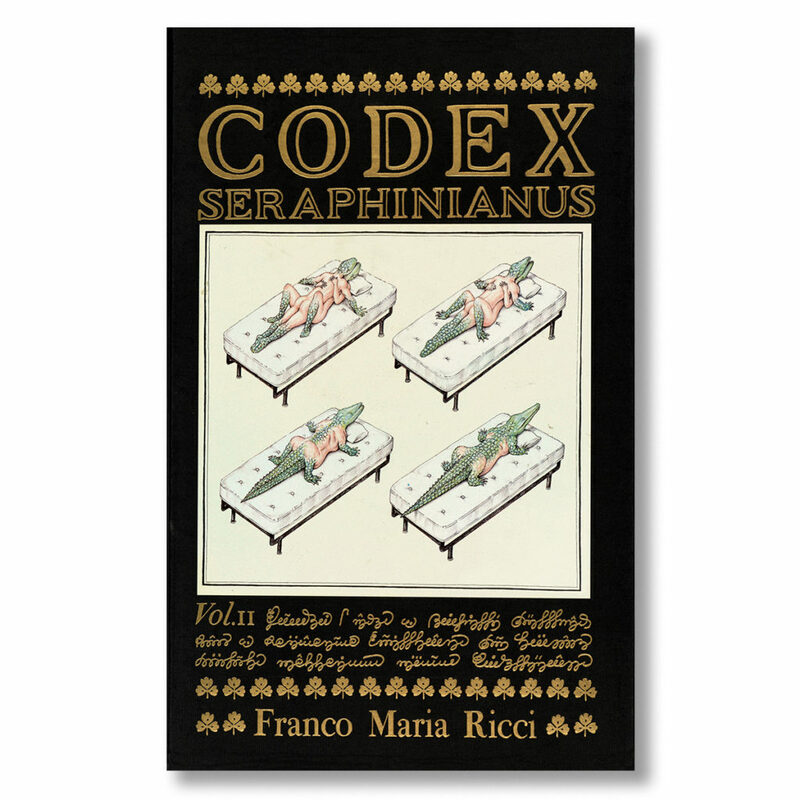 I’d been to Franco Maria Ricci’s house before. Having a genuine enthusiasm for books and the history of publishing, I harbour the deepest admiration for Mr Ricci and his endeavours. It’s simply an honour to be admitted to his splendid villa in Fontanellato, a town located in the purest countryside of the Po Valley. To the honour is added a feeling of stupor. 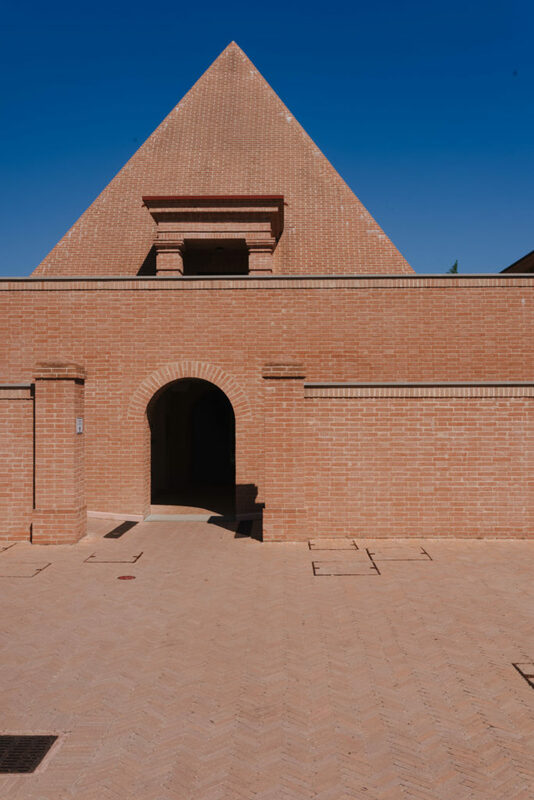 In fact, it’s impossible not to be fascinated by this architectonic dream catapulted into the province of Parma: a bamboo labyrinth, perhaps the biggest in the world; a pyramid in red bricks giving off a mysterious and ancestral aura; a perfectly polished museum, an unusual flash of beauty; and then Ricci’s home, La Magione, a building retrieved from the depths of Novecento Italiano and launched into the future. who’ve seen a lot in life. His initials have assured him everlasting fame within the world of publishing since the birth of FMR, a magazine considered by many to be the best ever published in the world. Today, he wears his 80 years like someone who’s aware that time is just another variable among the many others worth taking into account. Although his striped shirt is perfectly ironed, his absentminded gaze and his gangly figure might deceive you. 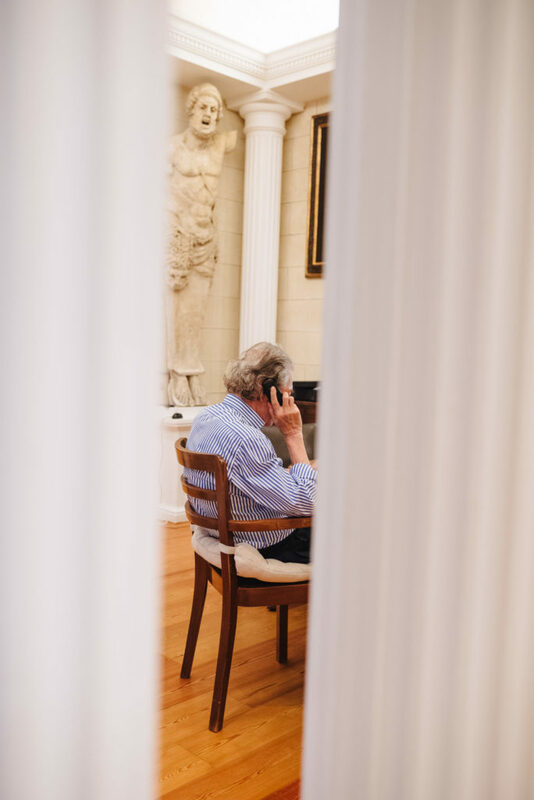 But as soon as FMR begins talking about the subjects he holds dear, such as books, his whole being lights up with a verve that’s reminiscent of his best, youthful years. 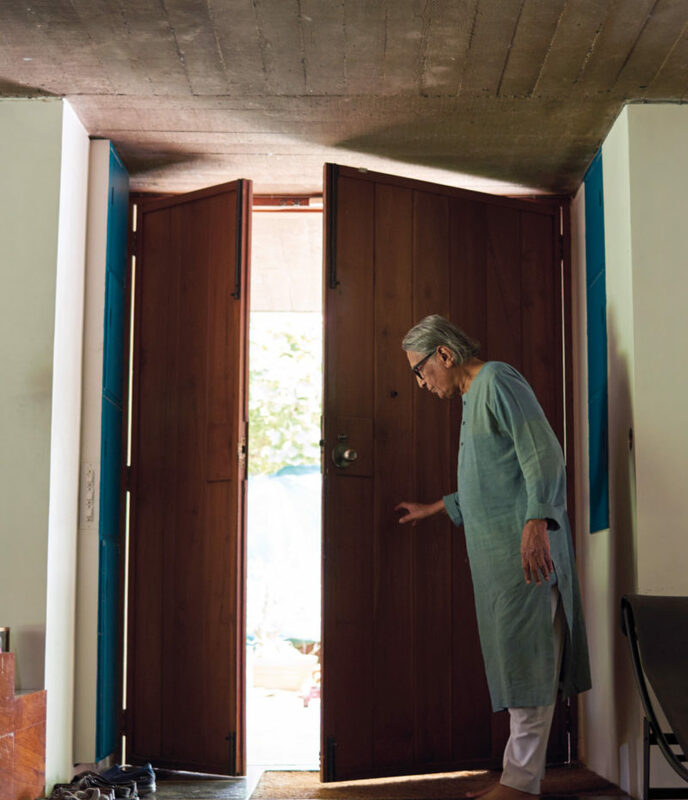 I’m charmed by the way he approaches his bookcases: he takes out each book with a mix of voracious fury and delicate love. He knows all their secrets; he knows how to make them ‘speak’, and so he strokes them, kindly, with a hand both filial and fatherly. This is exactly the reason why I’m here today, and Franco knows it: we both worship books. 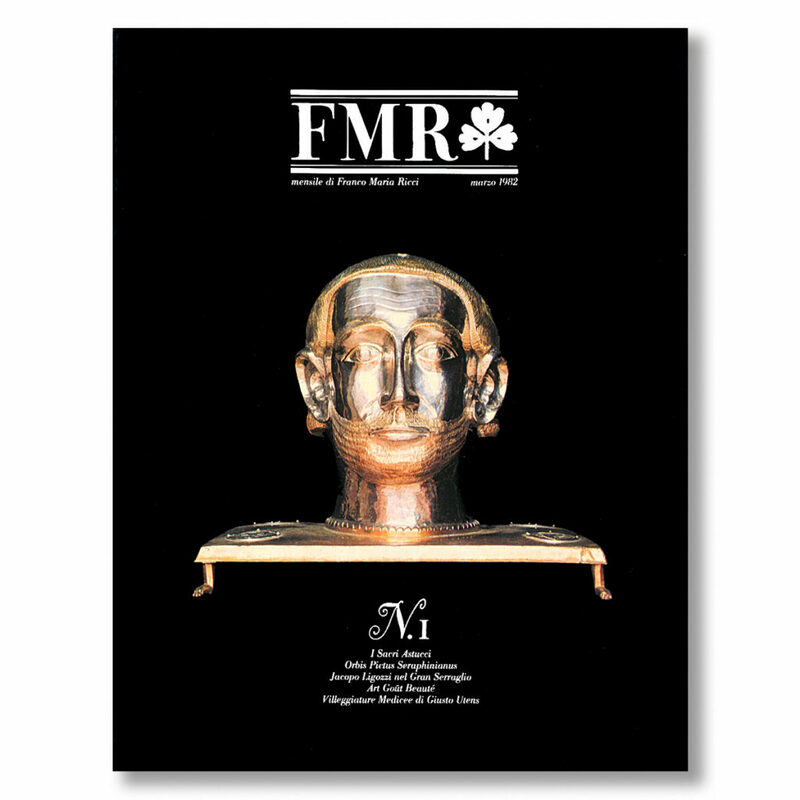 During his lifetime as an editor and publisher, FMR was able to assemble a literary corpus which not only possessed outstanding beauty but also a strong avant-garde character; he was always a step ahead of his peers. 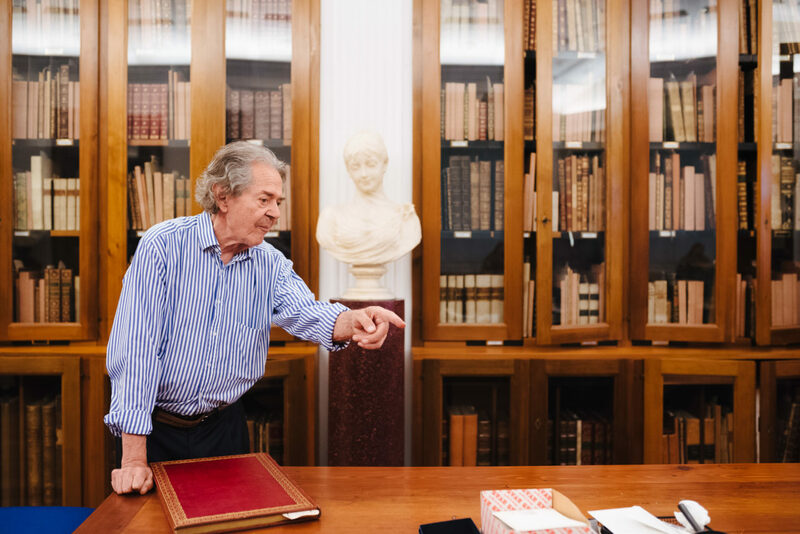 Most notably, FMR’s work is testimony to the glory of the book—as embodied by his 18th-century predecessor Giambattista Bodoni, whose work Franco has dedicated years to collecting. 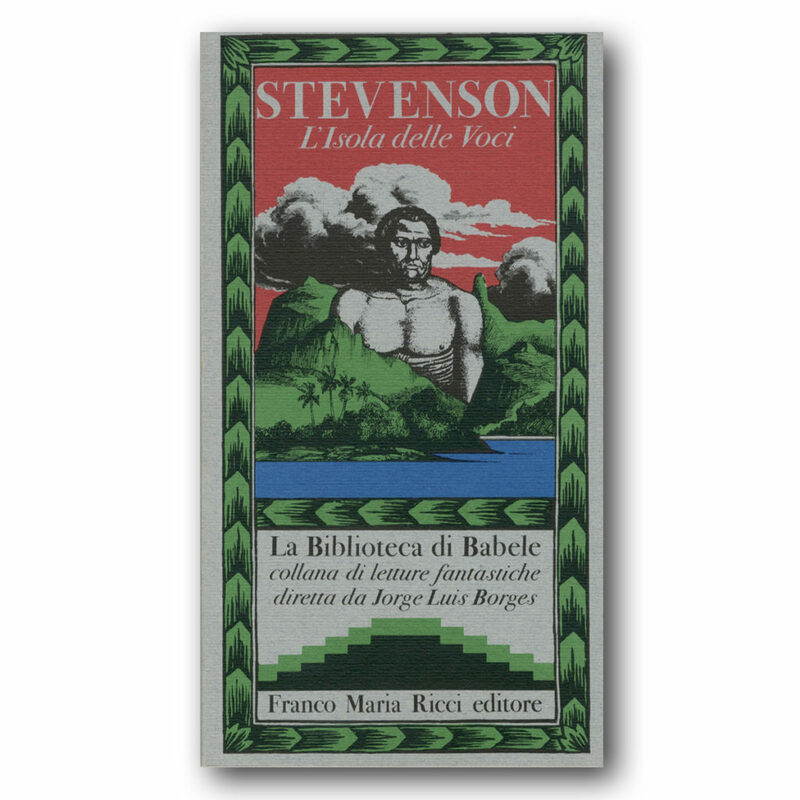 FMR glorified the book as an object and is responsible for some of the milestones of international publishing. 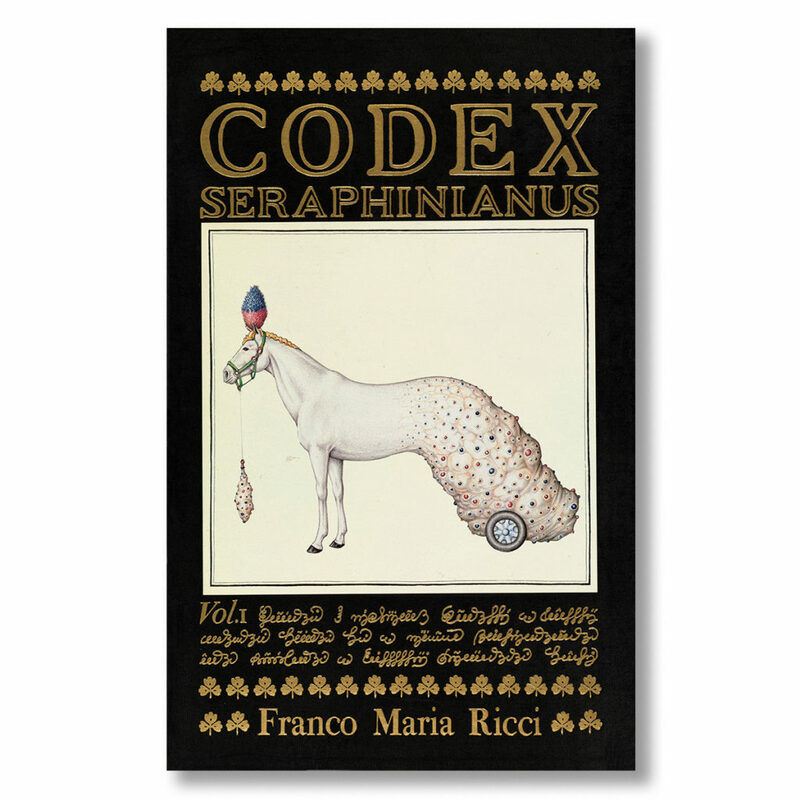 He espouses elegance, quality, and substance, and is no less an advocate of the book’s aesthetic beauty. and emotions. However, all this happens later, in tune with the manners of a man who’s always lived in the spotlight. First, it’s time for convivial rituals. The attic in the barn is used as a dining room during the summer. 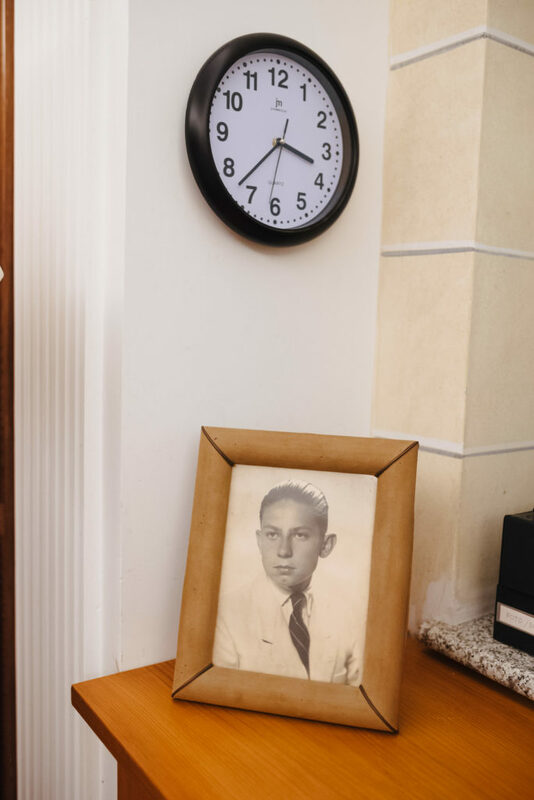 Here the air is finally a little cooler, and we sit down with Franco’s wife, Laura, around the large dining table, the only significant décor in this giant room. Laura’s always been next to Franco, throughout his whole life and during all his adventures. She discusses with him life choices, art, and books, together with all of Franco’s friends and regulars here at La Magione: artists, museum directors, and writers of best-sellers, booksellers, and editors. One in particular, the Italian publisher Vincenzo Campo from Henry Beyle (who is trying to publish a book by Ricci on his vast library), is also here today at Ricci’s HQ. He’s come to talk about typography and to attend, just like everyone, another lecture by the master. Next to us there’s an adorable fox terrier, BB, who follows us around the house and then returns, again, to the beloved books. How many pieces have you got in total? Around 1,200, but I’ve also got a lot of doubles, because sometimes to get hold of a particular piece during an auction I’ve had to buy lots that contain multiple items. Not many. According to the official catalogue by HC Brooks around 20, but they’re almost impossible to find. On the other hand, I’ve got many that the catalogue ignores. 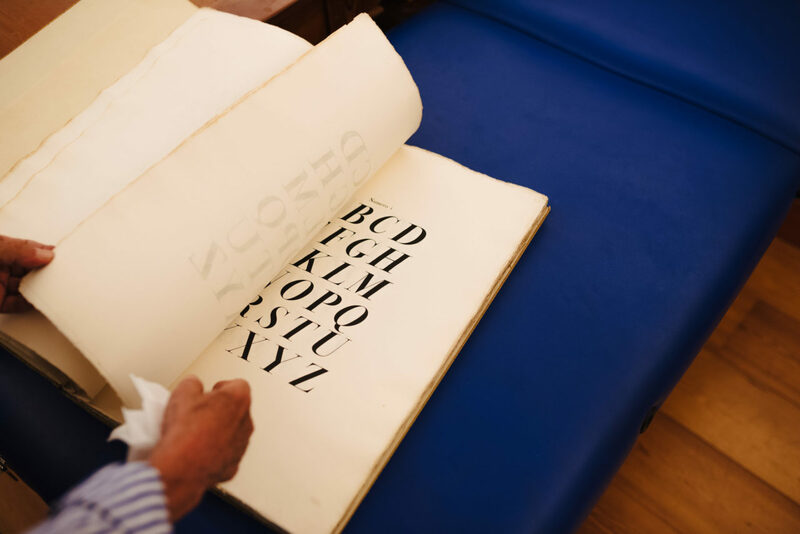 Are you still collecting Bodoni’s books? I’m still looking for them. I struggle to find the ones I’m missing, some of which are very important because of their extreme rarity, but I’m still hoping for a stroke of luck. Plus, people who are involved in collecting old books and who happen to come across a Bodoni are very likely to send it to me. 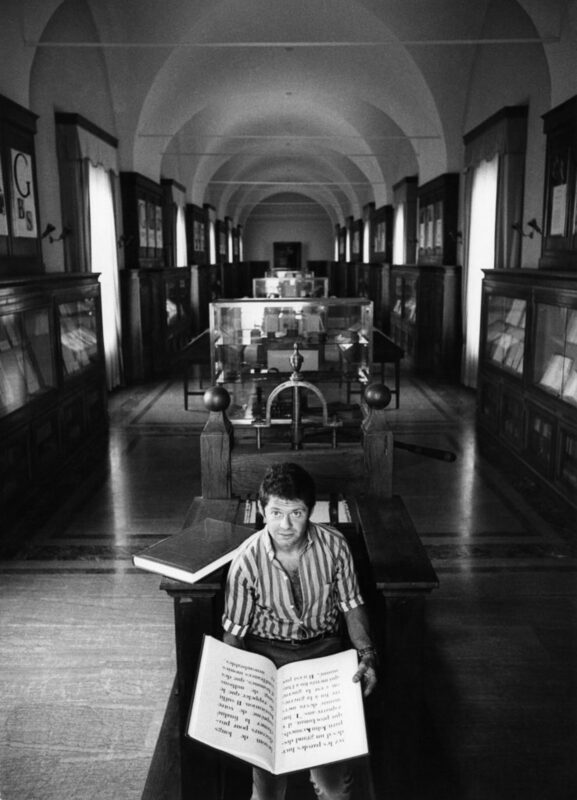 Franco Maria Ricci in the early 1960s at the Biblioteca Palatina in Parma. Franco Maria Ricci in the early 1960s. Your publishing career has been astonishing. According to you, what have been the most remarkable steps, those worthy of being remembered? 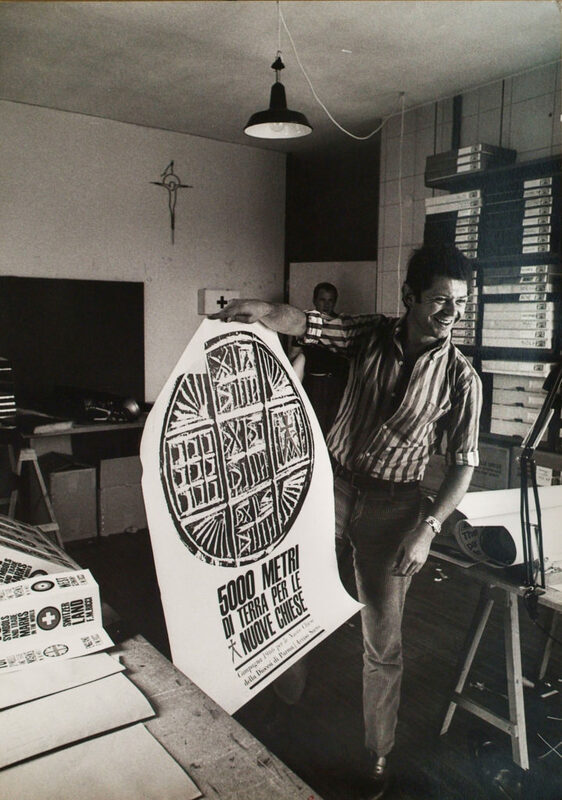 My career began almost by accident, when I stumbled across Bodoni at the beginning of the ‘60s. But if I had to point out specific moments, I would definitely say the anastatic reprint of Bodoni’s Manuale Tipografico, from 1813. 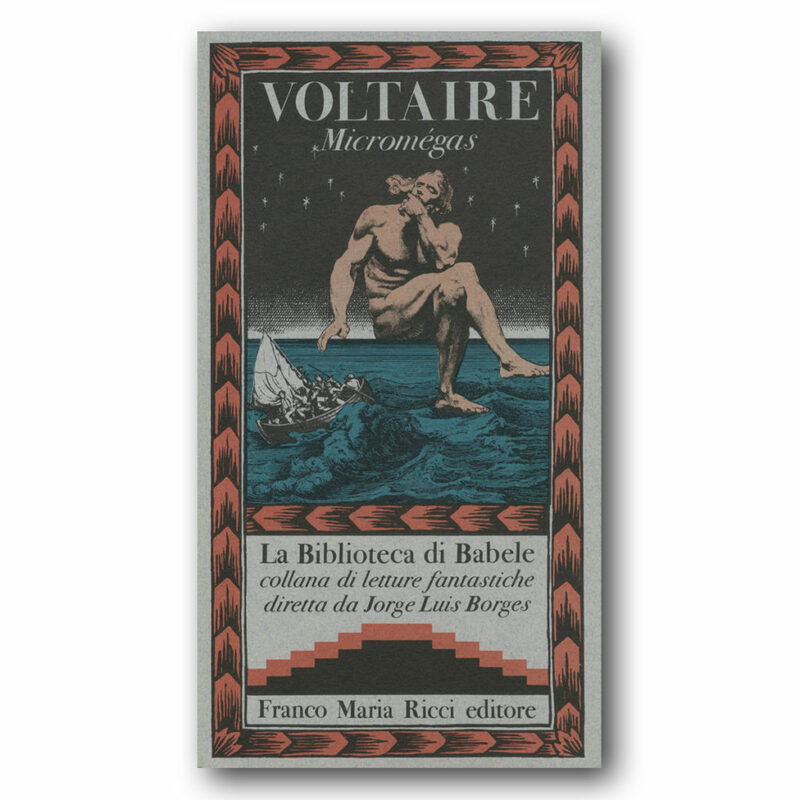 Or the Oratio Dominica, also by Bodoni, which, paired with a volume containing the speech that Pope Paul VI delivered to the UN in New York in 1965 and printed in the beautiful Papale typeface by Bodoni, allowed me to access the Grolier Club in New York. There, Jacqueline Kennedy helped me organise a sale of these volumes—some of which had even been signed by the Pope himself—in order to raise funds to help restore the library in Florence, which had been damaged by the flood in 1966. On that occasion, I was even able to get the signature of the UN secretary-general U Thant. Another giant endeavour, given the modest dimensions of our publishing house, was reprinting the Encyclopédie de Diderot et D’Alembert, the Paris folio edition published from 1751 to 1772. There were 12 volumes of tables still in their total integrity and five volumes of texts selected by a committee of Enlightenment scholars from last century, who were also the authors of a series of essays collected in the 18th volume. I still own some of the originals: one is here in the library, one is in the museum. 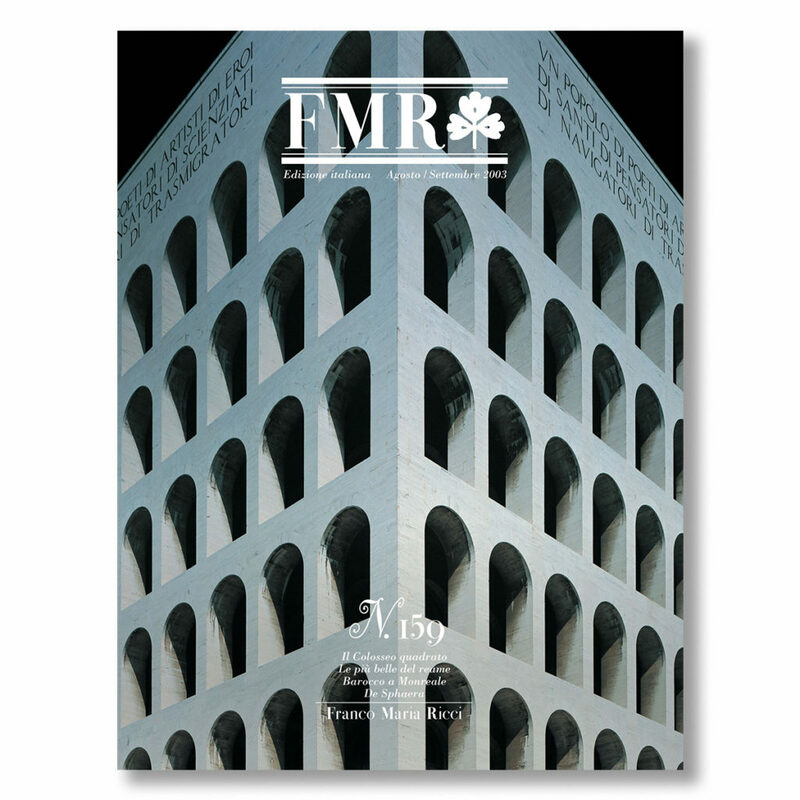 But what gave the publishing house the most visibility was certainly the magazine FMR; it was published for more than 20 years in four languages: Italian, French, Spanish, English, and, for a few years, also in German. It was a completely different formula. There was never anything that exclusively interested people from the business; we simply published art—hidden, curious, surprising art—shown in all its detail with big photographs. 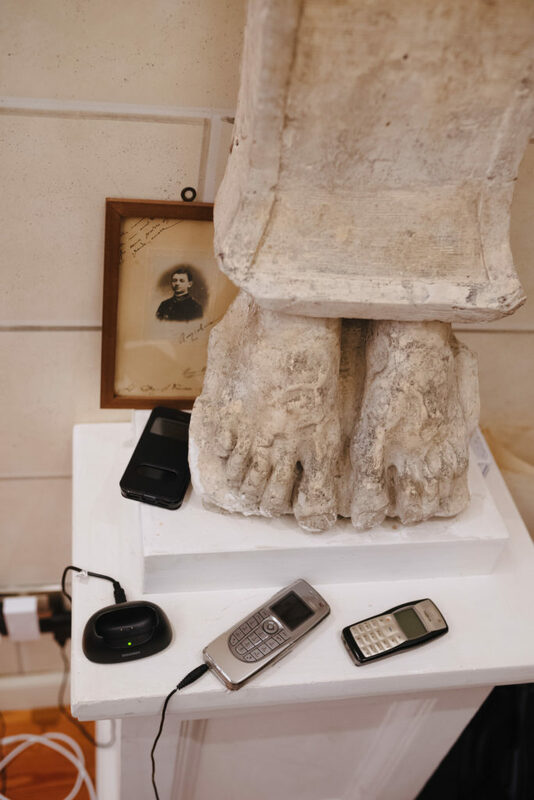 There wasn’t any gossip or links to current affairs, besides the exhibition reviews—which were chosen according to the tastes and parameters of the team—the literary texts, and the art criticism. 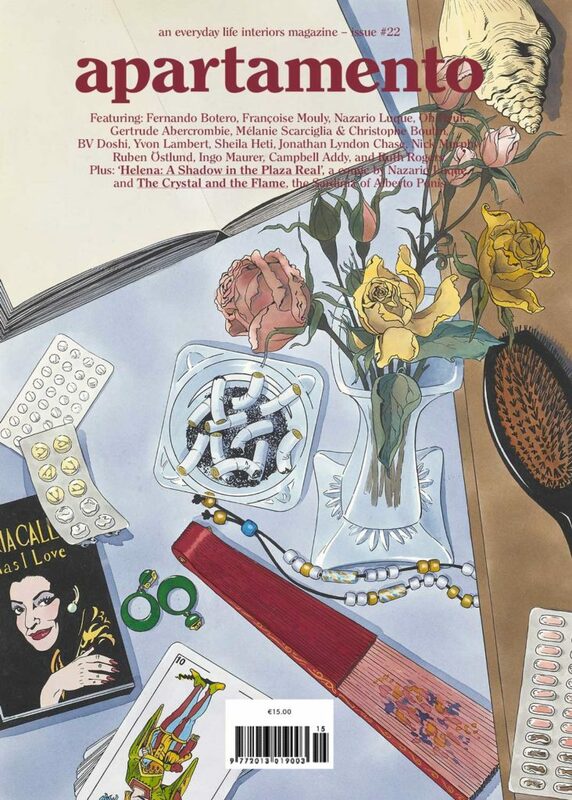 Black cover, framed image, and rigorously Bodonian: people could recognise it everywhere. 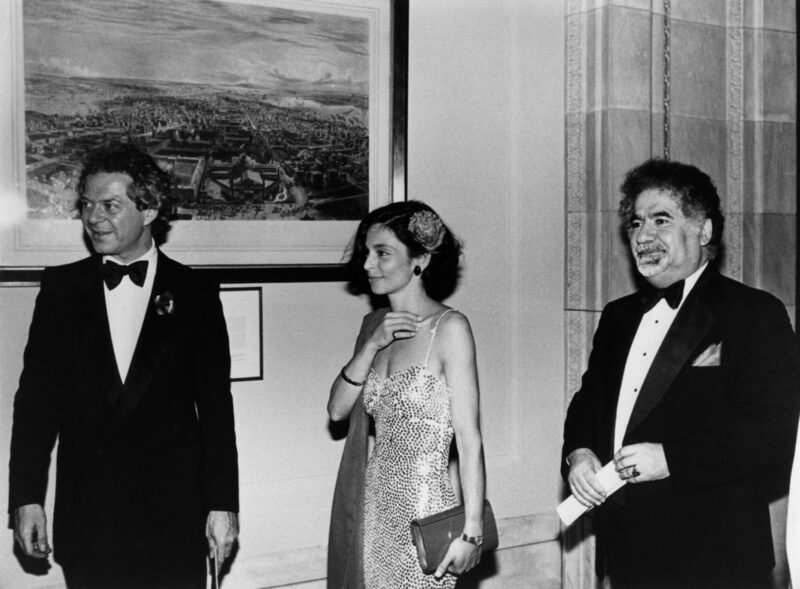 Franco Maria Ricci and Laura Casalis (later his wife) in 1984 at the launch of FMR U.S.A. at the New York Public Library. 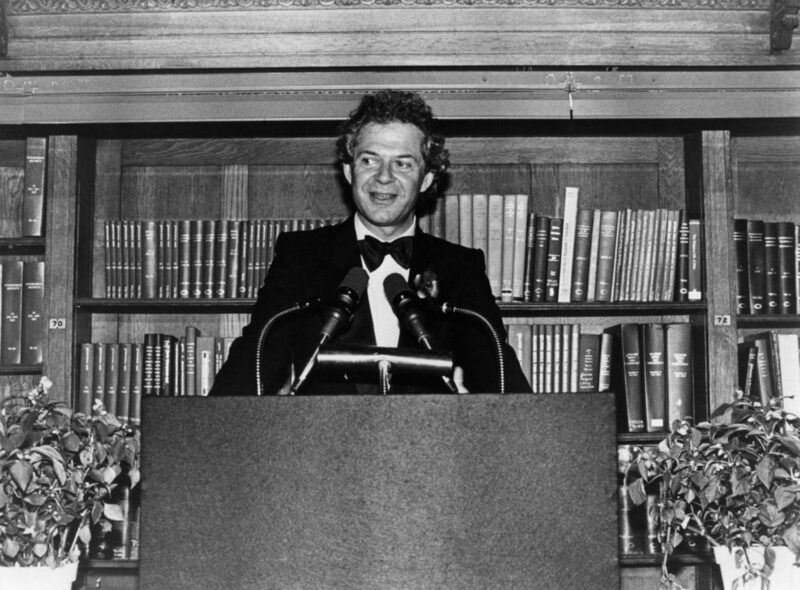 Franco Maria Ricci in 1984 at the launch of FMR U.S.A. at the New York Public Library. 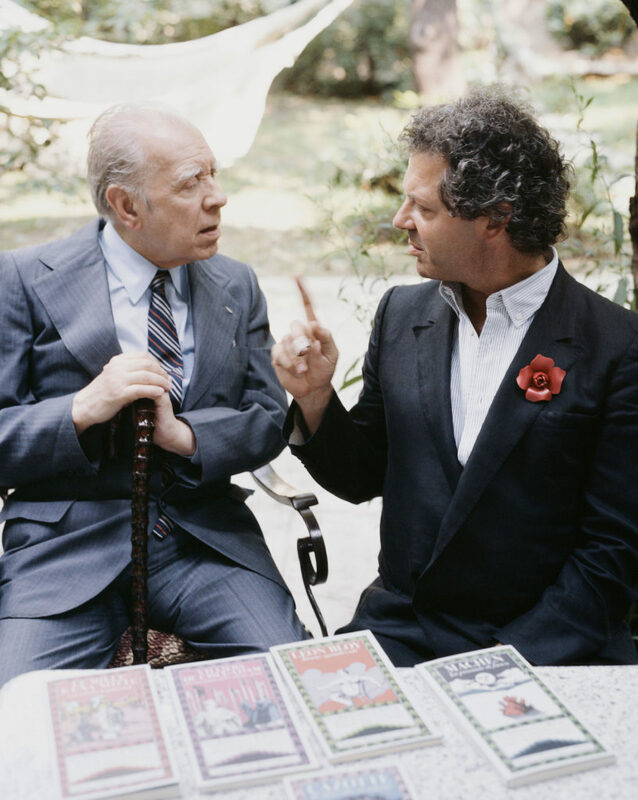 Jorge Luis Borges and Franco Maria Ricci in 1977. Jacqueline Kennedy and Franco Maria Ricci in 1967 in New York. What about the books and breathtakingly beautiful series you planned with Jorge Luis Borges? How were they born? What was their aesthetic model? I was always guided by the extraordinary pages of Bodoni, although there are many variations on the theme—a revolutionary model of elegance and breadth, even during his own time. Wide edges, beautiful paper, carefully curated typography, and silk binding are the aesthetic references which have, since Bodoni, remained fundamental. Black, gold, Bodonian typefaces: those are some of the essential elements of your editorial style. Can you tell us more? 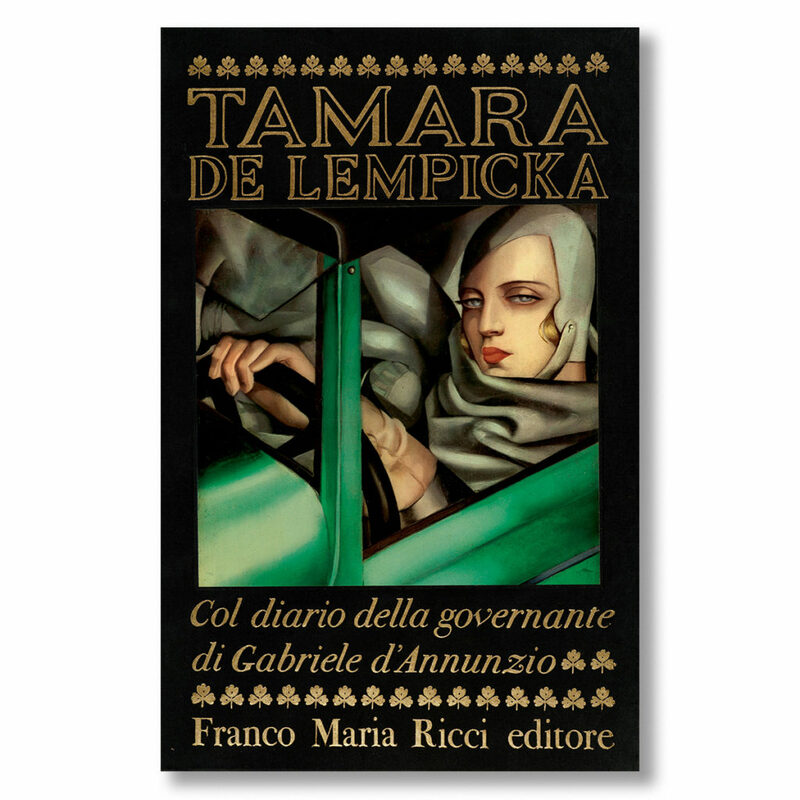 If we’re talking about the first series, then we should also mention the choice of unpublished iconographies, sometimes buried by time and oblivion. 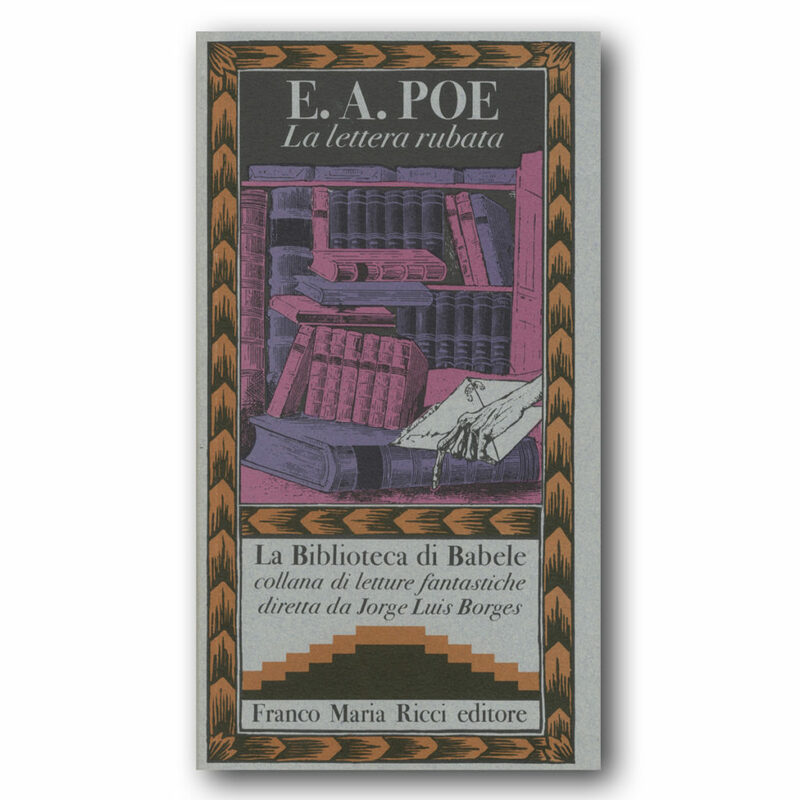 And then there are the texts by the literary masters: Borges, Roland Barthes, Umberto Eco, Italo Calvino, Alberto Arbasino, Julio Cortázar, Patrick Mauriès, William Saroyan. 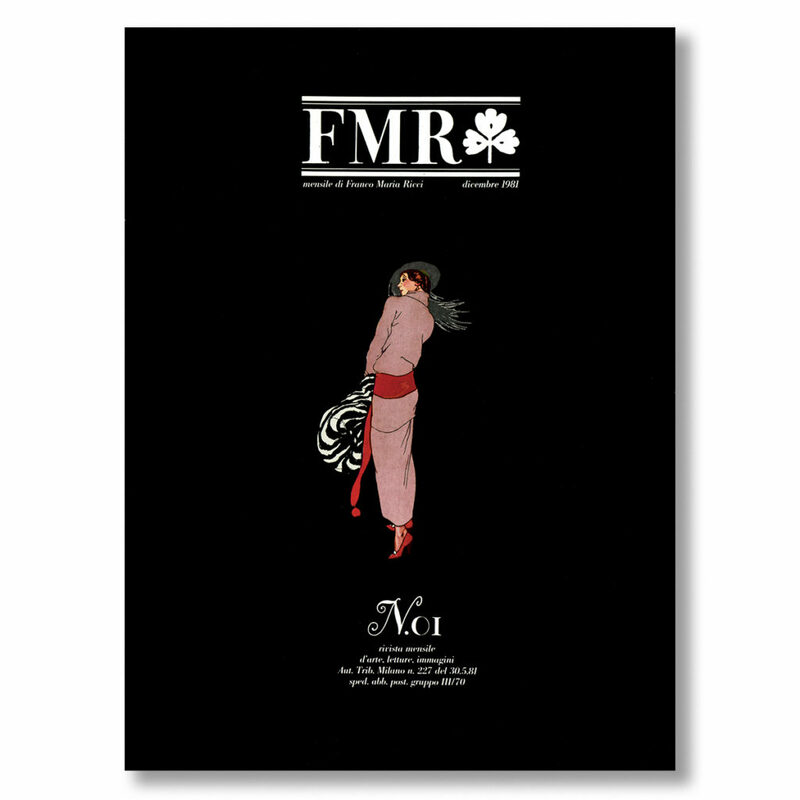 There was that trip to New York to present FMR, and then the successful publishing initiatives. What are the moments you’re more attached to? The night I presented FMR in New York was the apex of my publishing career. 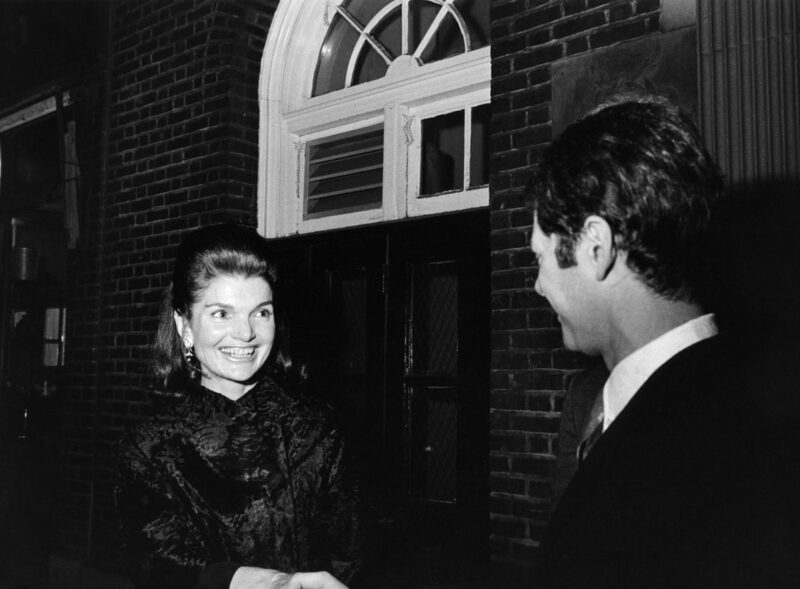 The whole of New York was there, starting with Jackie Onassis, who I’d known since my first visit to the city, when I organised the fundraising night at the Grolier Club. Only recently I also remembered this young guy who was introduced to me because he was very rich. His name was Donald Trump. There was also, as a special guest, Jorge Luis Borges. It was his 80th birthday, and he’d flown from Buenos Aires to be there. I knew why I was happy then. Obviously in life you also happen to experience moments where the reasons for such happiness are not as clear. And sometimes that happiness is even stronger. Let’s have a look around. The library is the house’s heart, but what protects and surrounds those books is also a sensational project—harmonious and well executed. When was the project to renovate this house born, and how did it come about? We’re talking about La Magione, a building owned by my ancestors. After the roof collapsed, the main residence became an actual ruin; there were also colonnades, pigsties, and rural dwellings. It was then that I decided to ‘do something’ with it. 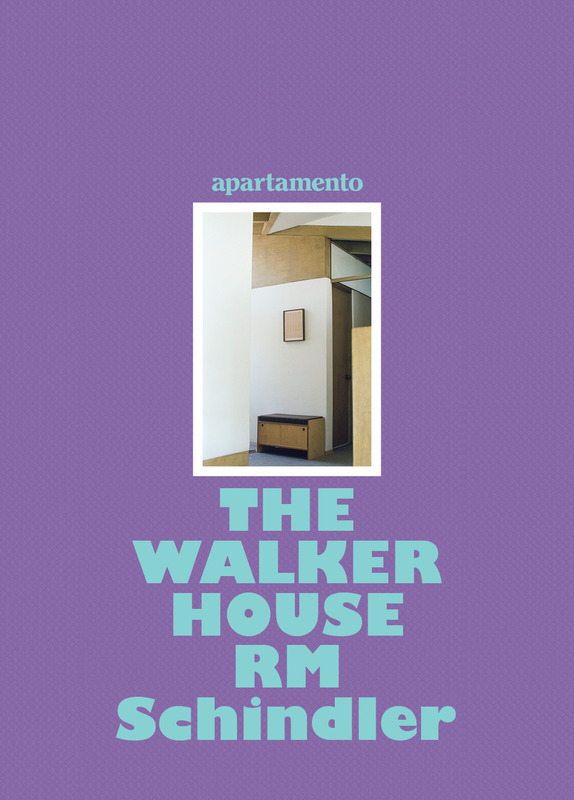 Initially the building looked mundane and devoid of any charm, so I decided to turn it into the publishing house’s archive. I renovated the ground floor in that theatrical way you can still admire today, and left the outside bit how it was, at the mercy of the savage vegetation, which, especially in the summer, almost covers the house entirely. 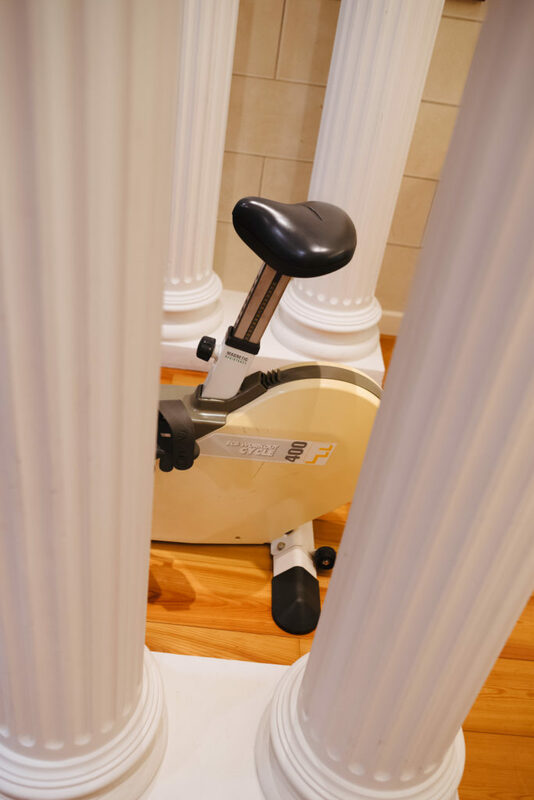 Which would you say were the most significant parts of the renovation you’ve accomplished, and what is still missing? When we only used to come in summer and for short periods of time, we only used the colonnade area that I renovated in the ‘70s. 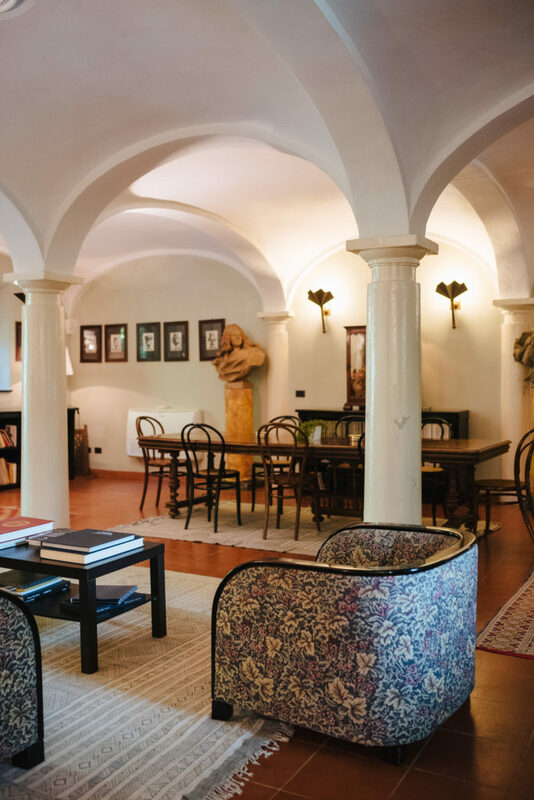 When I started to restore the manor, the casa padronale, which has now been turned into the library, I added a bedroom and started to sleep there, while my wife, Laura, kept living in the other house. When we started building the labyrinth 10 years ago, the library became my main residence, and in order to transform it into an actual house I started to add elements like a studio, bedrooms, dressing rooms, and bathrooms. When did the idea of leaving the collapsed roof to make a hidden pool come about? Here we’re talking about the colonnade area and the adjoining vaccaro house, which was basically in ruins. Between 1972 and 1975 I renovated the stable and the barn, which became, respectively, big living rooms for the winter and summer. Then, above the house that was in ruins, where I only restored the ground floor, I built a huge terrace connecting to the barn, and in this terrace I immersed the pool. How did you plan and draw the interiors and décors of the house? In particular, could you tell me something more about the fireplace that’s shaped like an elm, and the armchairs that you’ve designed? The interiors of these spaces are very simple. With such a beautiful frame, I didn’t want the décor to be too invasive. On the top floor of the barn, there’s just a large, central table, which is 6m long and serves as a base for all sorts of activities. 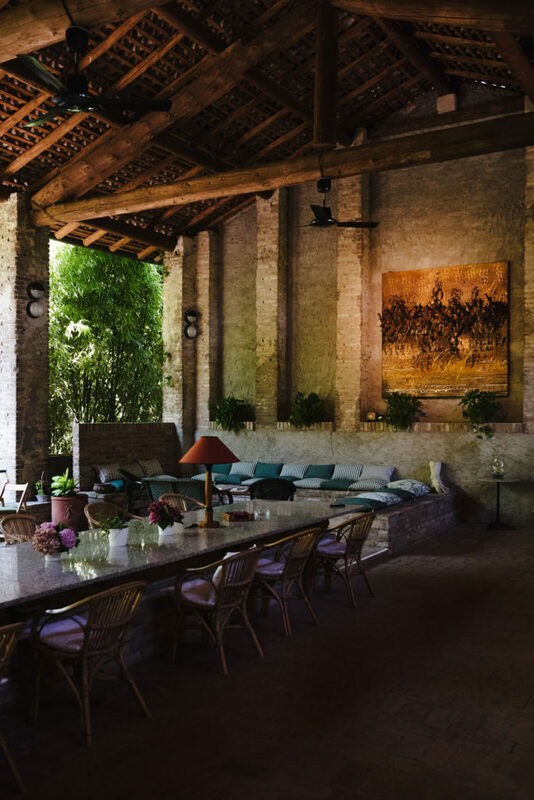 A lot of cushions around a low table form the aperitivo corner; then a drinks cabinet from an old ship and two big paintings—one inspired by Bodoni and made by a young Venetian painter, Enrico Benetta, and the other one by a Mexican painter, Mari Carmen Hernández—more or less complete the décor. Everything’s covered by a big roof, but it doesn’t have walls; it’s immersed in nature and overlooks a lake. Below, along the walls of the room which used to be a stable, there are low bookshelves with lots of art objects on them. 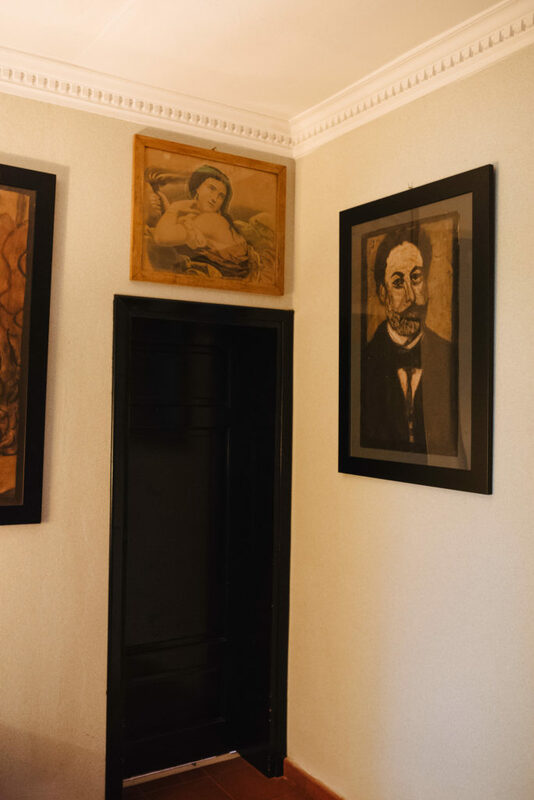 On the walls is the Suite de Vases by Ennemond Alexandre Petitot, and then there’s a fireplace, two tables, and lots of Berber rugs bought in Ouarzazate. 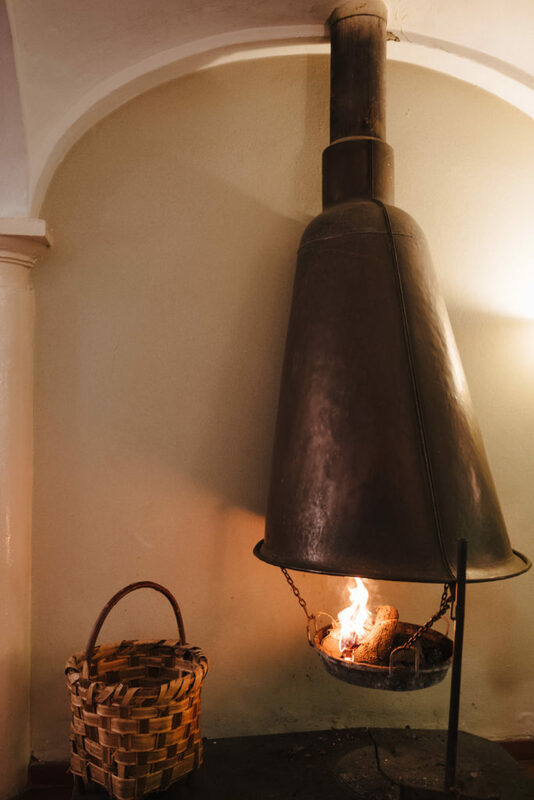 The fireplace was designed by Guido Canali, an architect from Parma who helped me when I was renovating the house. It looks like a giant overturned elm. However, it was actually inspired by the giant copper boilers where the milk for producing Parmigiano Reggiano is cooked. The fireplace is copper, too, and because it’s above ground level it irradiates heat a lot more than a normal fireplace. There are also armchairs and sofas inspired by art deco; I designed them in 1975 and they were produced by SCIC in a limited edition. And what about the pieces you chose to decorate the house with, from the modern design classics, like the Arco and the Eames chairs, to the pieces of art? 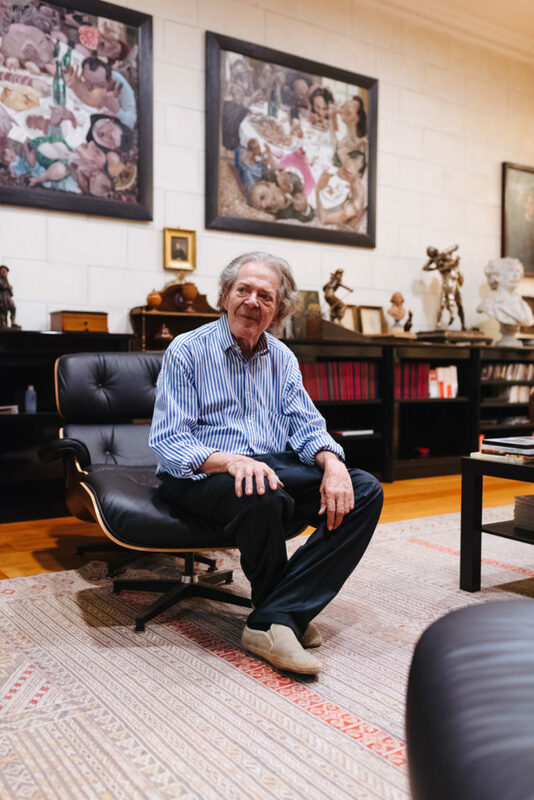 During the ‘70s, I bought contemporary furniture and various interior complements for my house in Milan: the Eames chaise longue, the Arco lamp, the Tolomeo, the Ipotenusa, and many Papillonas. 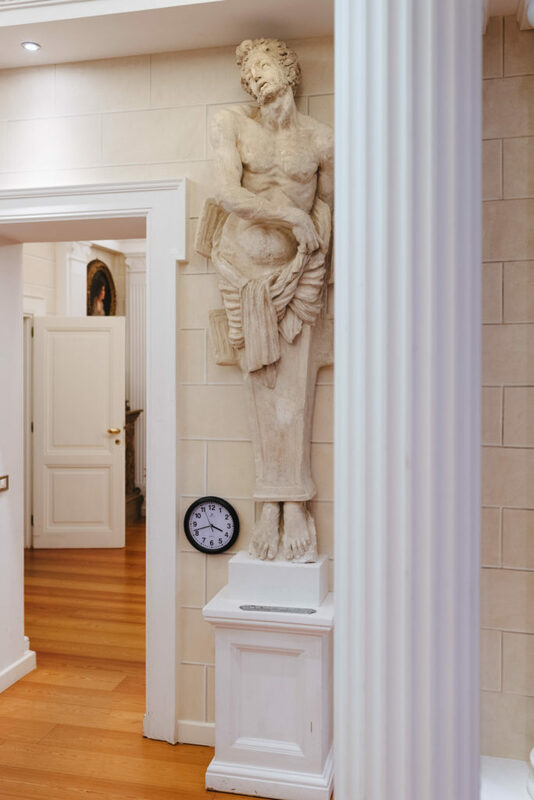 But there are also a lot of déco elements scattered across these houses, the museum, and the suites of the labyrinth. 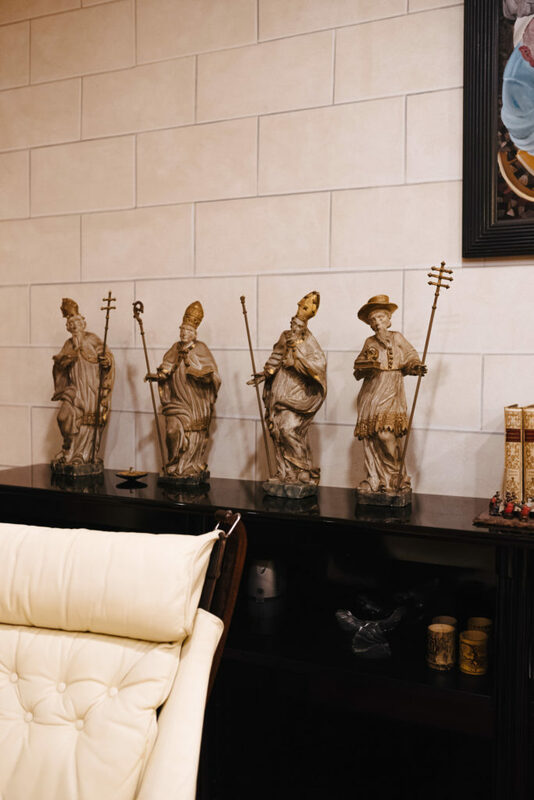 My house was also packed with sculptures and paintings from every epoch, which kept accumulating year after year, and that are now located in the rooms of the museum. Your house has always been a destination for many different personalities, most of whom end up coming back every year. Can you tell us about some of the special friends that often visit you here? Yes, we do have a lot of special friends, and most of them do come back the following year, even though La Magione isn’t really, at first sight, the ideal summer destination. Sir Roy Strong, the mythical director of the V&A Museum in London, books himself a week here in August every year. Strong is also a great historian and garden expert—a sharp, provocative, and funny man harbouring endless admiration for FMR, so he says. Then there are the friends that used to be publishers. Pascal and Sandra Flamand, once owners of Seuil, come from Paris. And Sylvia Ferino-Pagden and Christian Beaufort-Spontin, who’ve directed departments at the Kunsthistorisches Museum in Vienna and been summoned to organise beautiful exhibitions around the whole world. 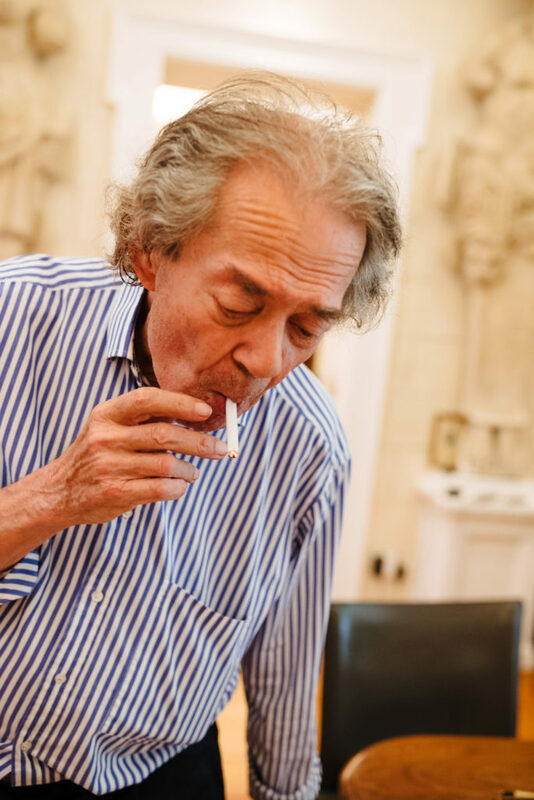 We often had visits from a former president of France, Valéry Giscard-d’Estaing, and his wife, both great experts on Bodoni; and then we have intellectuals, architects, writers. Everyone comes here; they relax, regain their strength, and then come back! What do they find here? A house with a loose routine, a pleasant garden, a pool, good food, beautiful things to admire again and again in the surrounding area. Plus, everyone says that you sleep very well here. There’s a lot of friendship and an interest in what I’ve done and what I do. You were telling me about the project to extend the library and also create a new section of the museum. What will this project be like? 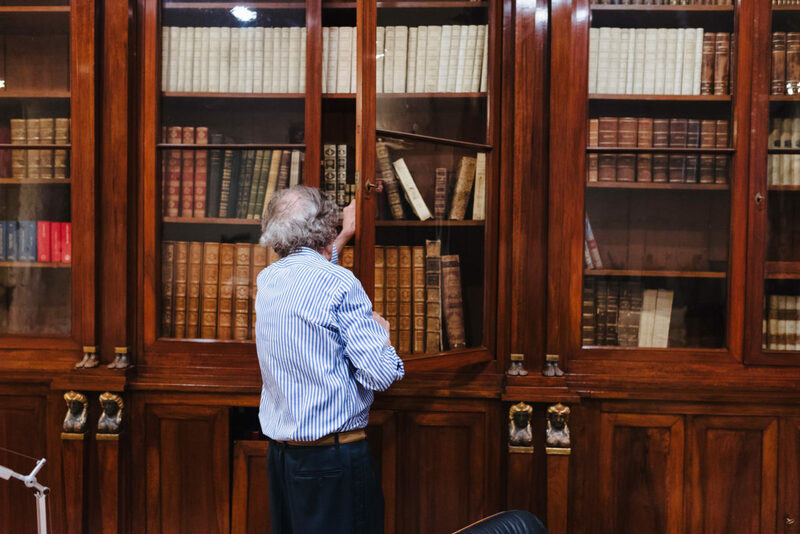 Actually, because there wasn’t enough space to display all the books coming from the Milan library and from the publishing house, I created ‘invisible’ spaces in the museum, such as lifting walls and hidden corridors, and packed them with books. During downtimes, the museum staff are now busy indexing and organising the hundreds of bookcases that have arrived throughout the year. 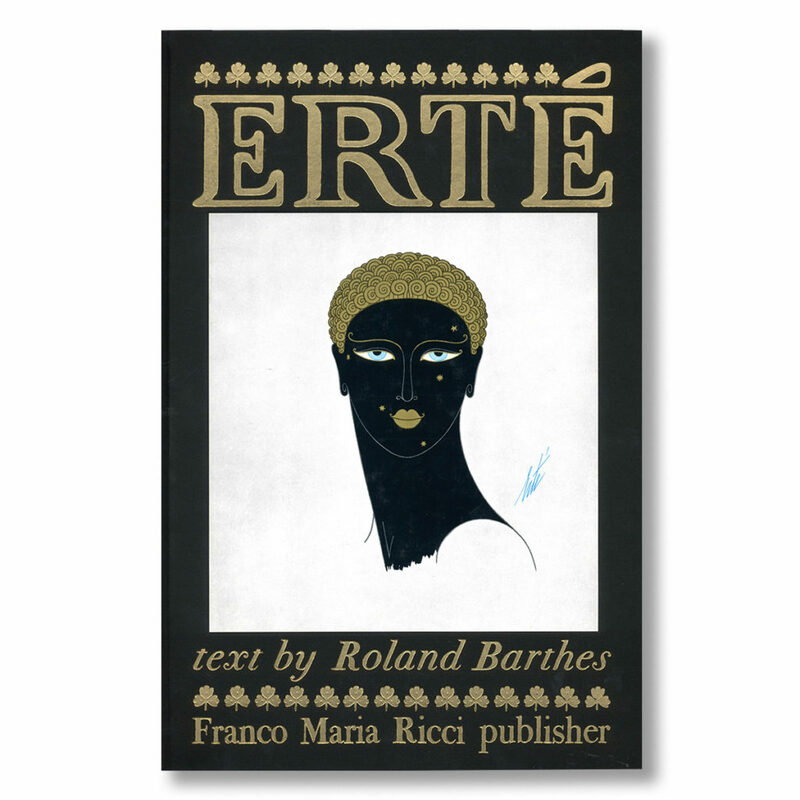 'Erté' with text by Roland Barthes. 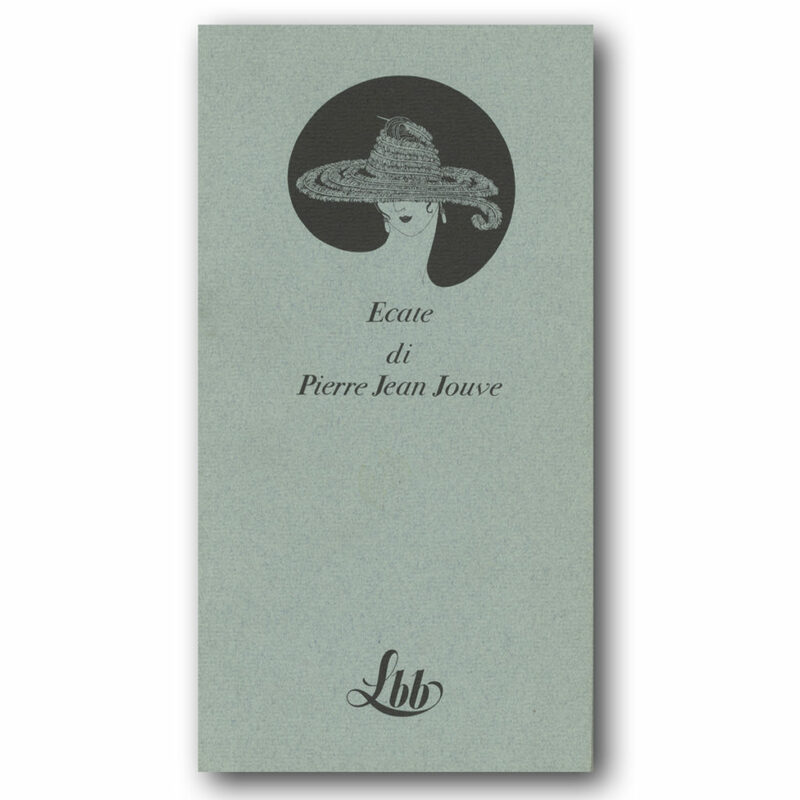 'Ecate' by Pierre Jean Jouve. 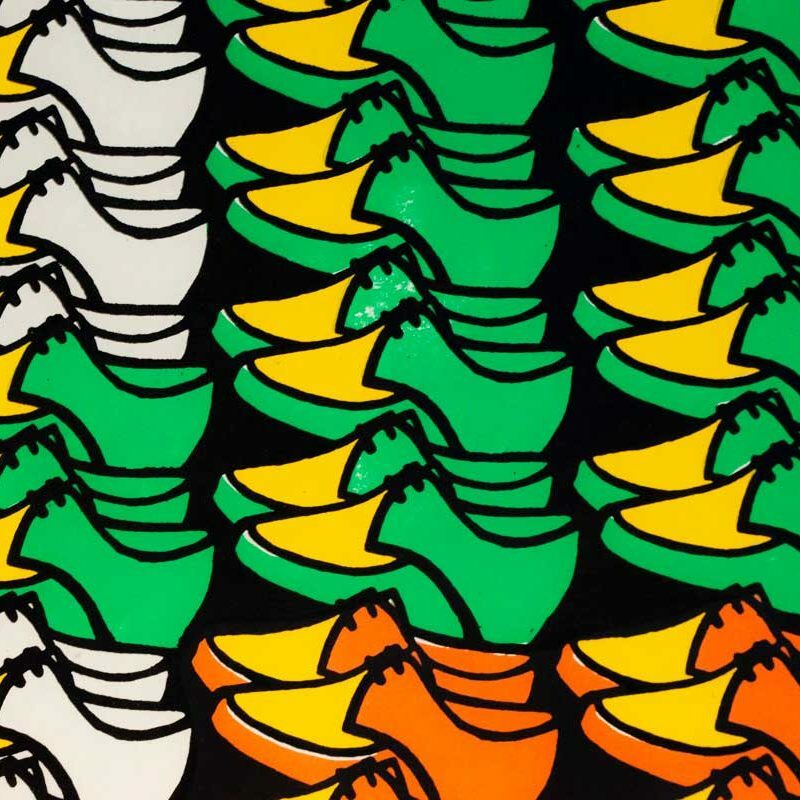 'La materia del nulla' by Macedonio Fernández. 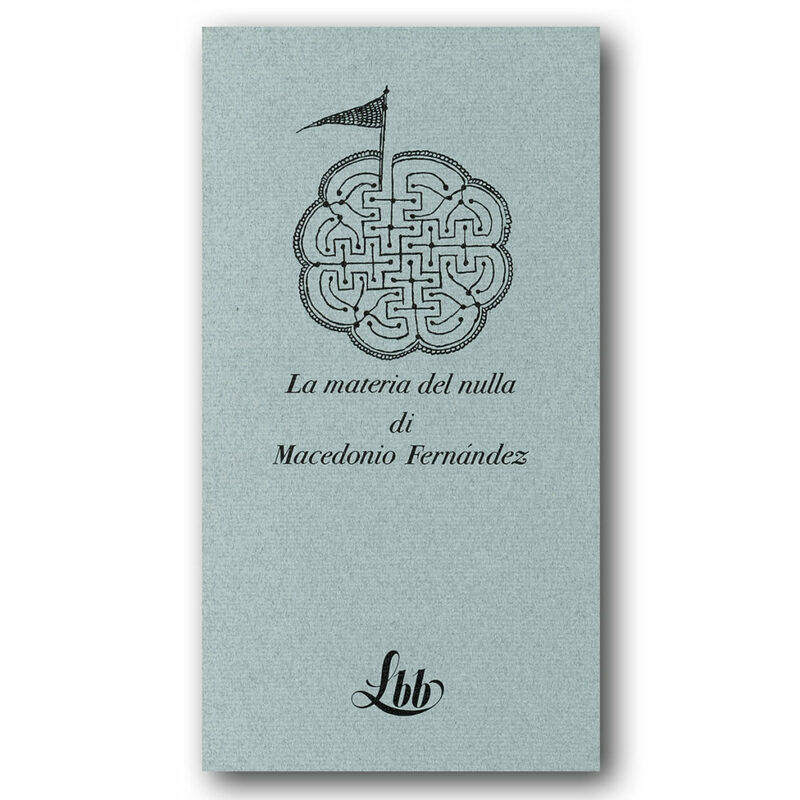 'Lolozia' from the collection 'Le Guide Impossibili Lusso'. FMR Art Magazine Issue 0, 1981. FMR Art Magazine Issue 159, 2003. 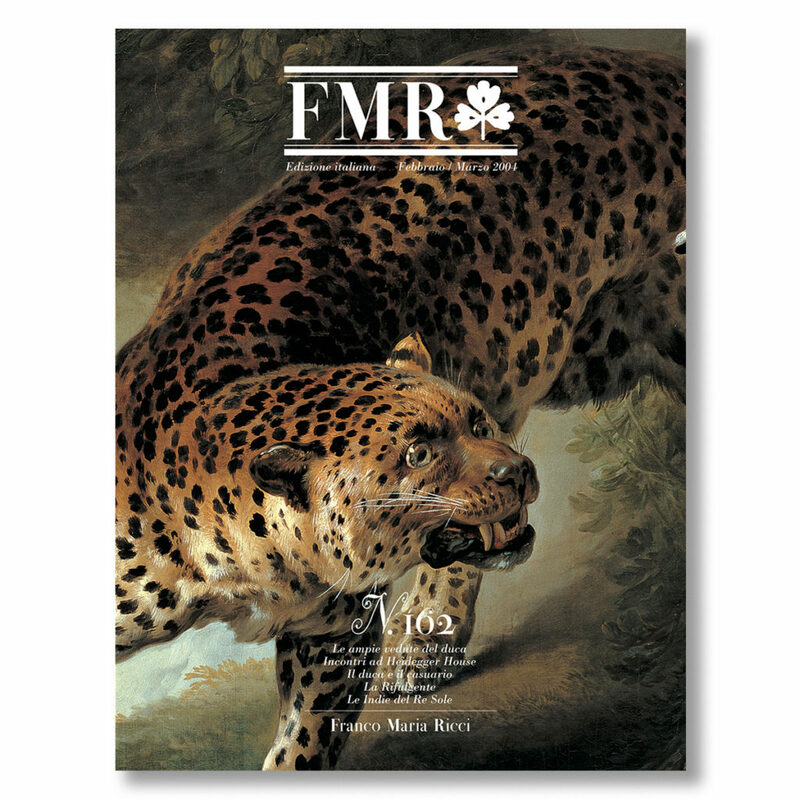 FMR Art Magazine Issue 162, 2004. 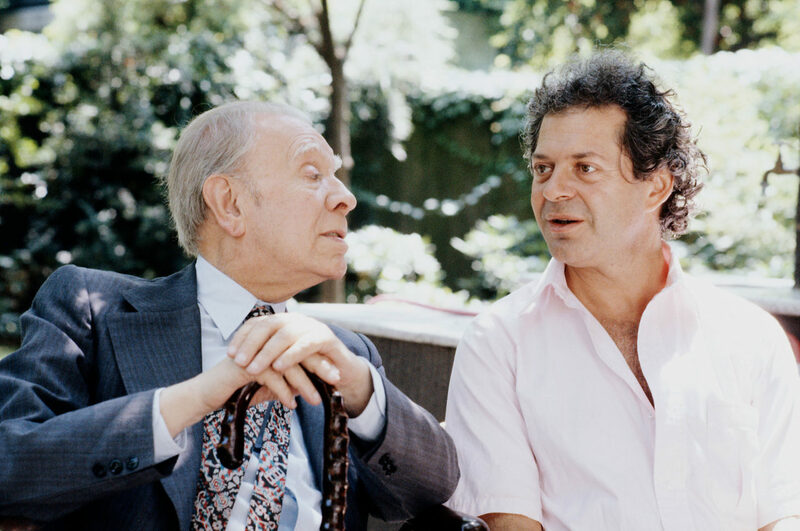 When Borges was here, what was the main topic of your conversations? Can you remember any anecdotes from your friendship? I like to remember how we met. 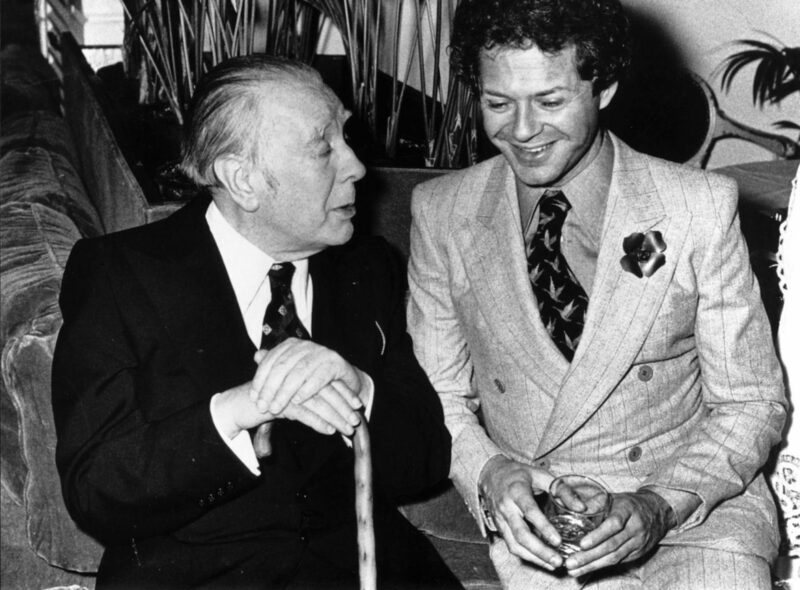 In 1973 I decided to meet Borges. He was such a myth to me that, up to that point, I hadn’t even dared to list him among my authors. I met María Esther Vásquez and her husband, Horacio Armani, who were both friends with Borges. Then, thanks to them, one day during the winter of 1973–1974 I went to the Buenos Aires National Library, which at the time was directed by Borges. Elegant and wearing a white shirt, Borges was waiting for me under the dome of the reading room. As soon as they told him that the publisher from Milan had arrived, he started walking towards me uttering a line from Dante’s Inferno: ‘Tu duca, tu signore, tu maestro’. In that moment I thought it was the kind of courtesy gesture you reserve for an Italian guest, or maybe that it was the only line he knew from the Commedia. Later on I found out he knew the whole thing by heart! 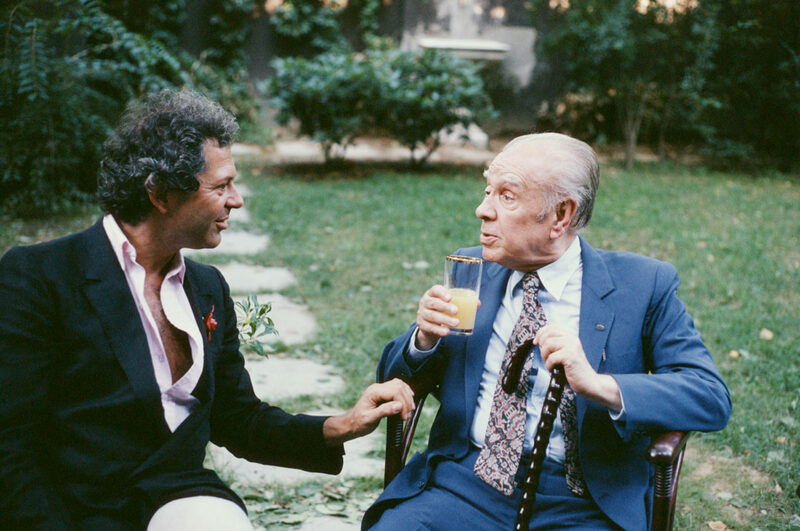 Franco Maria Ricci and Jorge Luis Borges in Milan at Ricci’s house in the early 1980s. Was it thanks to Borges that you decided to build the labyrinth? I came to build a labyrinth following a path that was, just like labyrinths themselves, meandering and unpredictable, dictated by circumstance, particular encounters, reveries. In particular, two experiences—one during my childhood and one in my teenage years—marked my first encounters with labyrinths. When I was a child, every once in a while gypsies and their spouses with long, colourful skirts arrived in Parma with their caravans; we used to call them baracconi. They built these labyrinths out of opposing mirrors, which used to fill me with wonder. In my second year of university, while I was attending the Faculty of Geology, I used to take weekends and summer holidays to go on adventures down into the belly of the earth, discovering underground labyrinths. When I grew up, labyrinths went out of my life. 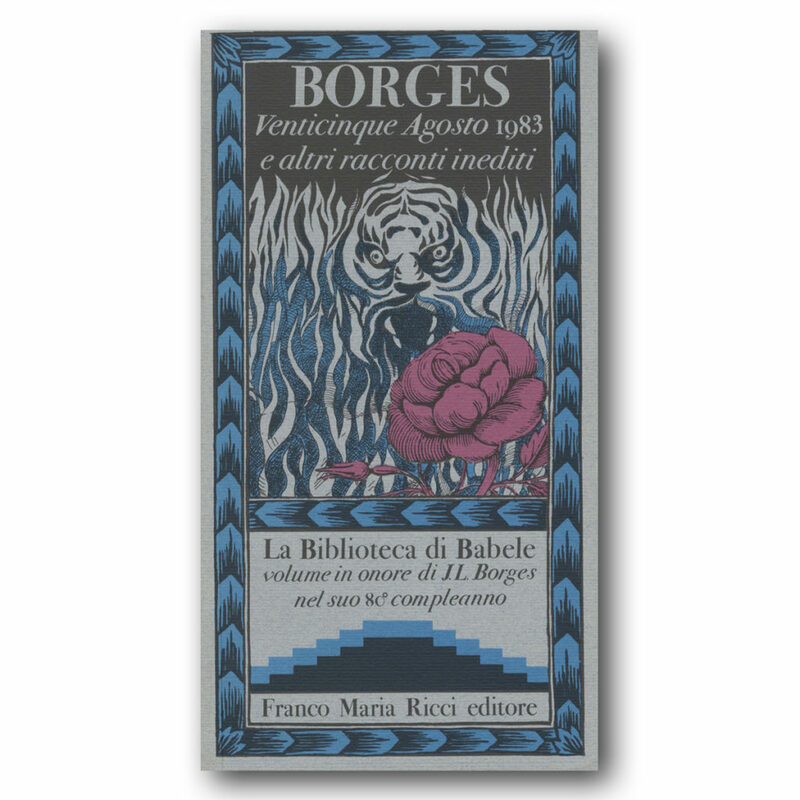 If at some point, many years later, these convoluted paths resurfaced from this long oblivion and started to attract my attention again, it was firstly because of literature and secondly because of my friendship with Borges. 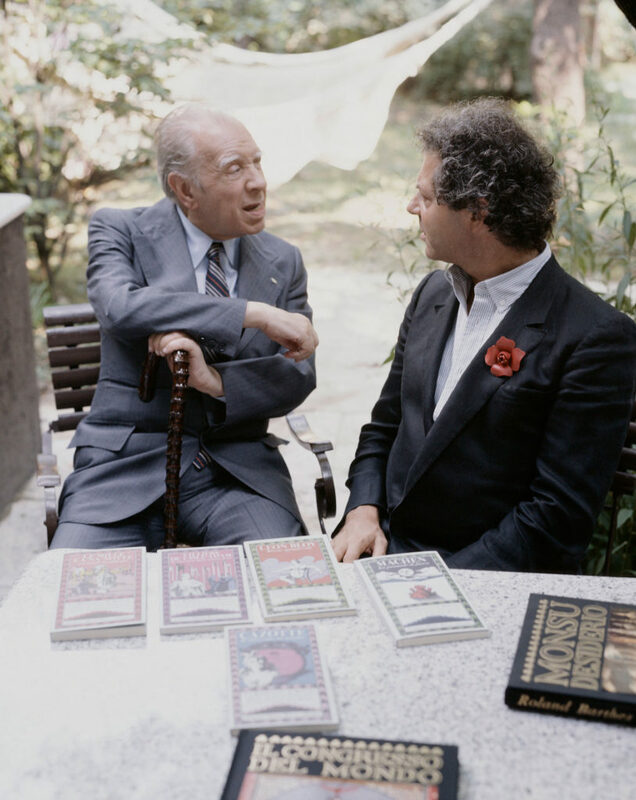 Borges was often my guest here in Fontanellato and in Milan. The trajectories drawn by his blind, hesitant steps into territories that were familiar to me would remind me of the insecurities of those who move between bifurcations and enigmas. One day I told him I would have loved to build a labyrinth at some point—and added, with arrogance, that it would be the biggest labyrinth in the world. Borges objected that the biggest labyrinth in the world already existed; it was the desert. One thing I knew for sure, I would have never been able to build one of those—almost—infinite labyrinths described by Borges in some of his stories from Ficciones or The Aleph. How was the idea born, and how long did it take to realise it? Another encounter in the ‘90s, when Borges had already passed away, helped give substance to what was still a vague project. It was with Davide Dutto, a young architecture student. Dutto had proposed to me a fascinating publishing project, which I enthusiastically accepted and which was going to become one of the last books I would curate under the name of my own publishing house before its temporary eclipse, which I will tell you about later. The idea was to recreate, through the use of appropriate software, the island of Cythera, a place described in the Hypnerotomachia Poliphili—the most precious book that was ever printed, published in Venice in 1499 by Aldo Manuzio. Thanks to computers, and to Dutto’s ability to use their potential, the second volume, Il Giardino di Polifilo, revealed to us the dazzling landscape of an enchanted site. 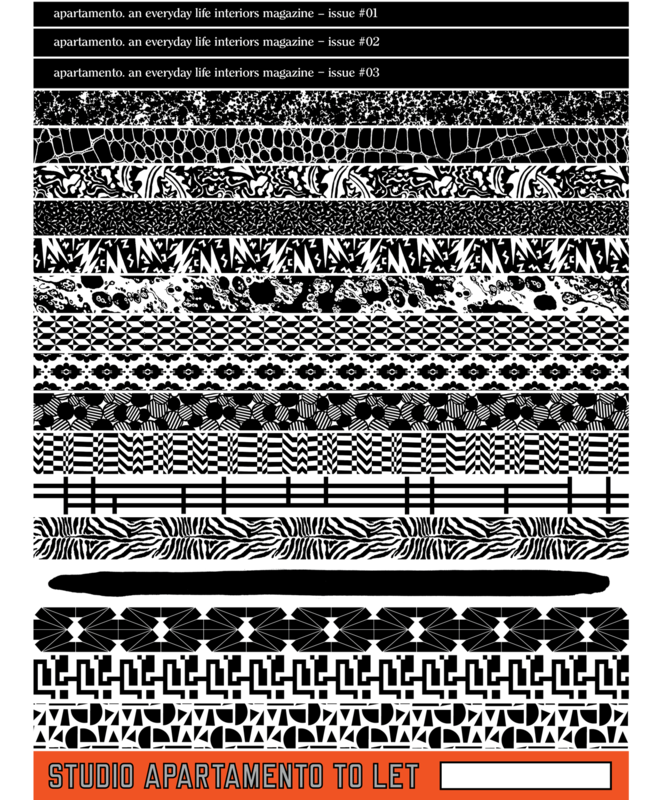 The images we obtained through this software reminded me of labyrinths and of my intention to build one, which I’d expressed to Borges, but which I had buried since then. I asked for Dutto’s help and we started working on it. The beautiful Renaissance gardens which moved huge capitals were in fact preceded by two projects of utopian and oneiric character: the Trattato di Architettura by Filarete, who described an imaginary city called Sforzinda, and the Polifilo, which described a dream. My labyrinth project was also preceded by an oneiric period. Dutto and I never got tired of planning astonishing labyrinths, without really taking into account how much money it was going to take to create them. One of those labyrinths consisted of an island in the middle of a lake, which you could only access via an underground tunnel. I liked that fantasy. But the personality of a dreamer and visionary have always coexisted in me with the pragmatism of an accountant, who every once in a while harshly objects to those characteristics. And I think this happens for the best, since without the presence of this second nature I would have been bankrupt many times now. For a year Dutto and I kept drawing labyrinths which were, at least financially, impossible to realise. Until one day the accountant, who had been sleeping, woke up and cut the daydreaming short: we had to give up on our lakes, islands, and tunnels. I went back to reality, and the labyrinth dream became a tangible, possible project, which I could never abandon. 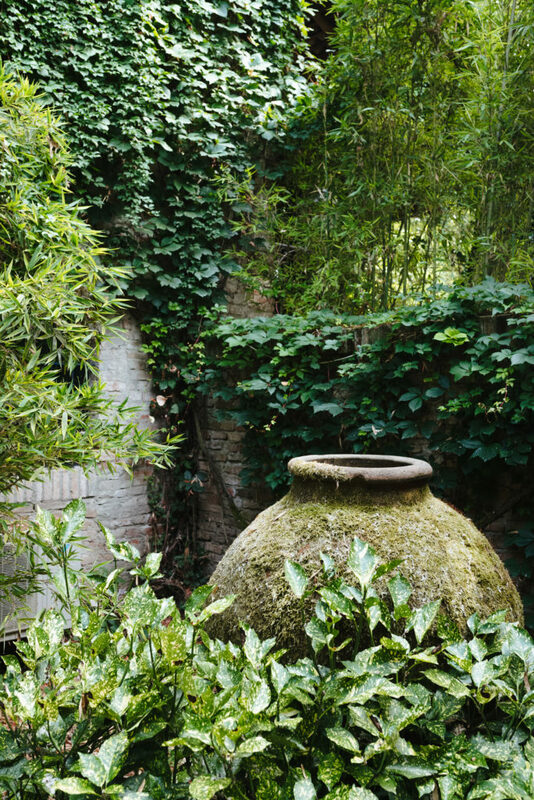 Outside the bamboo prevails, the plant you chose for the labyrinth despite it being foreign to the traditional flora of the Po Valley. Why? 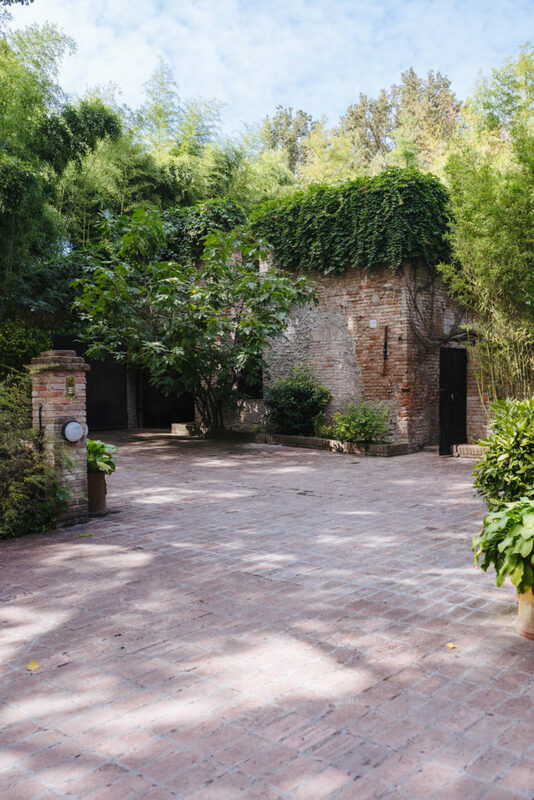 Behind my house in Milan there’s a sort of hortus conclusus, a garden surrounded by high walls. Initially, I didn’t know what to do with it. Then one day a Japanese gardener suggested that I plant a little bamboo grove. 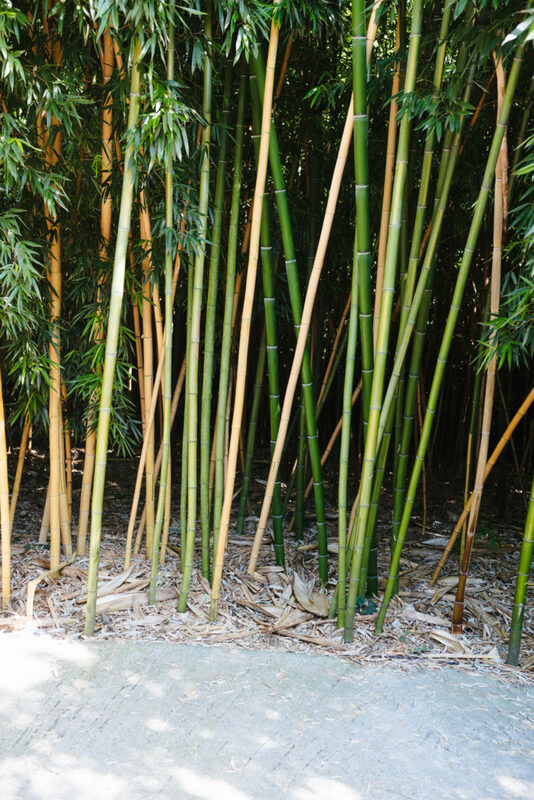 In Italy, bamboo is a rather unknown and unused plant. At most, people are acquainted with its more famous variety, the Phyllostachys aurea, which is often confused with reeds. It’s a shame because bamboo is a fantastic plant. It doesn’t get ill, its leaves do not fall in the winter, it absorbs CO2 from the air, and its elegance isn’t any less classical or impeccable than Bodoni’s typefaces. I went to Provence to purchase the few bamboo plants I needed. There I discovered a magical place: the Bambouseraie d’Anduze. It’s a nursery which hosts around 200 different species of bamboo, some able to reach 15m in height, others not taller than 50cm. It’s the biggest plantation in Europe. 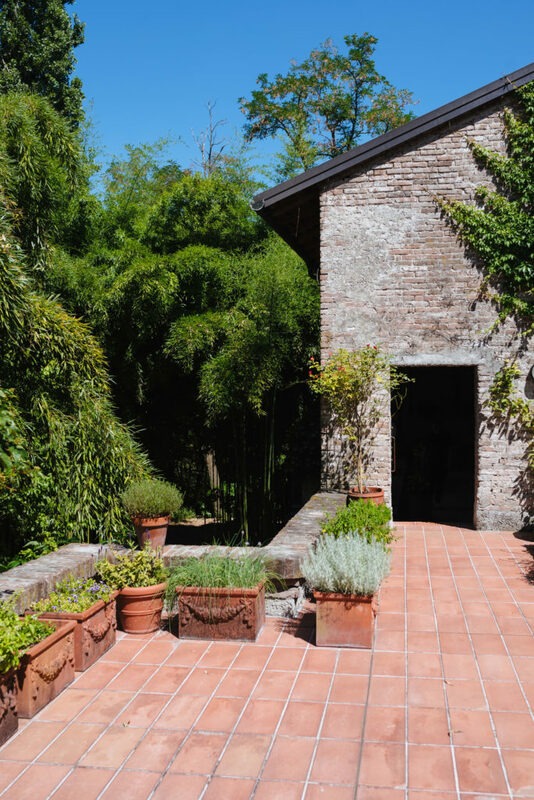 In my little garden in Milan, bamboo plants immediately grew to be lush and vigorous, rising above the walls that surrounded them. Though it was not without a few complaints from my neighbours. I was falling in love with the plant. I went back to the Bambouseraie and this time my purchases were enormous. I had decided to plant a bamboo garden all over the land surrounding my house in Fontanellato. And this time again the experiment proved to be successful. Monitoring the growth of my plants, I could witness on a daily basis how bamboo, this plant from China, could feel at home in the proximity of a pseudo-Chinese river like the Po. At that time the bamboo didn’t even have any connection to the labyrinth yet. Then one day I had an epiphany: it was the perfect material to build it. Among the many advantages, one in particular worked well with my age; bamboo grows fast, while box, the plant traditionally used for labyrinths, grows very slowly. By using bamboo I could harbour a reasonable hope of seeing the plants for my labyrinth reach the right height. But if I had used box, the chances definitely would have been slim. The labyrinth and the museum are two inseparable units of the house. 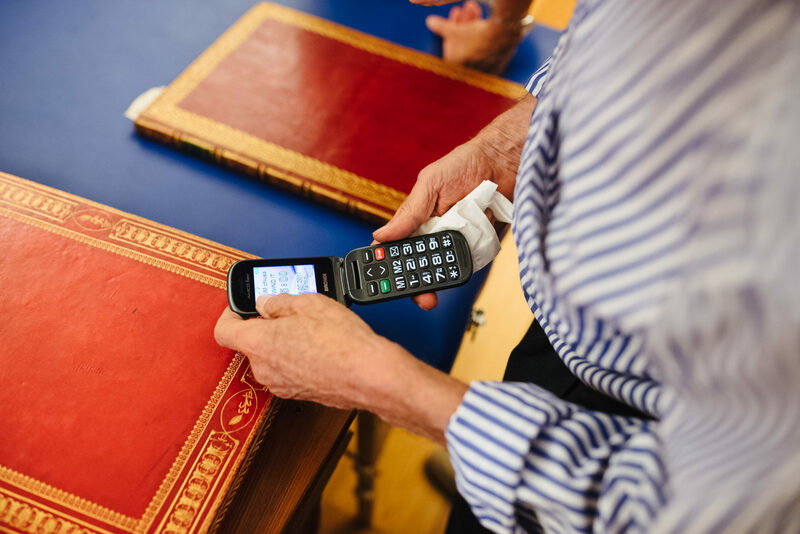 However, why did you choose to keep the books in the house and not in your museum collection? Well, they’re inseparable, but not entirely! There are days when up to 2,000 people walk through the bamboo and in and out of the museum, and I could never allow this to happen within the walls of my home. So I kept the Bodoni volumes, a collection that I am re-indexing and perfecting, when possible, with the missing volumes or the ones I already own but which have a more beautiful binding. Those who really want to see this collection can book an appointment. We often receive groups of bibliophiles coming from different countries. 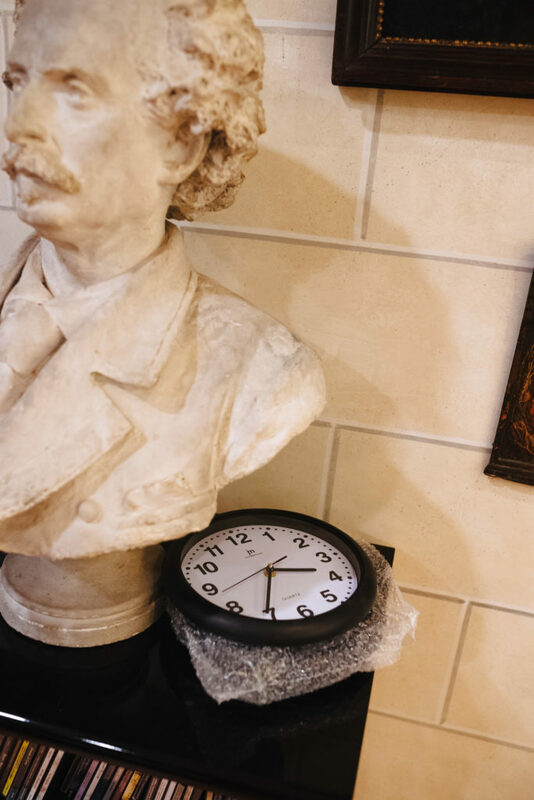 On the other hand, I decided to separate myself from all the works of art and the sculptures, which are now in the labyrinth museum. The collection has almost 400 pieces. How would you define your taste, regarding your choice of art? I’m a two-faced collector. 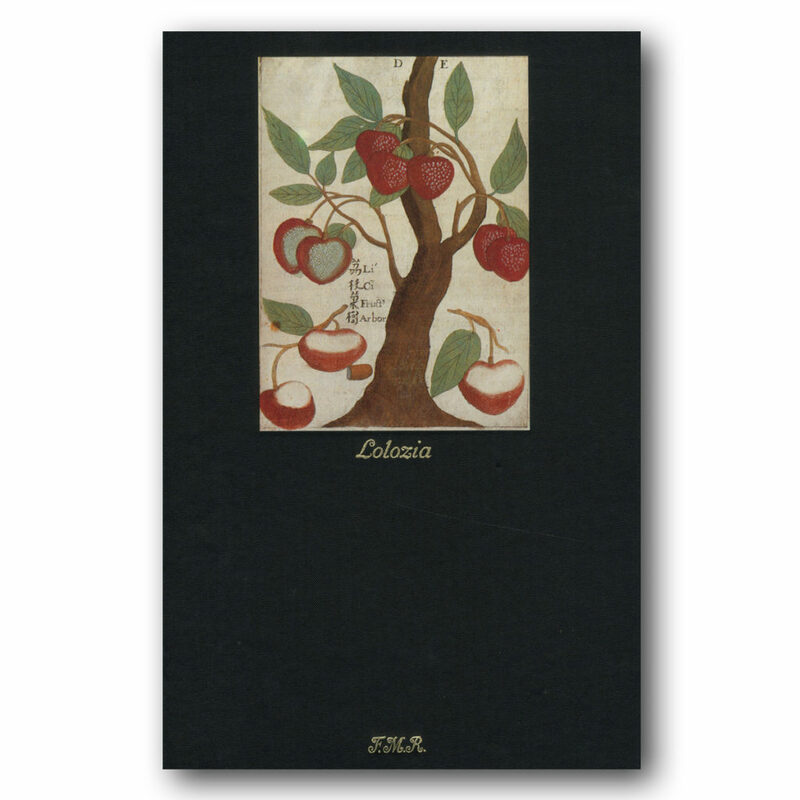 I’m obsessive and almost philatelic in my collection of works by Giambattista Bodoni. But I’m also unpredictable and illogical in the way I collect other works of art. This bipolarity saves me from being easily labelled and allows me to have a single target: beauty. 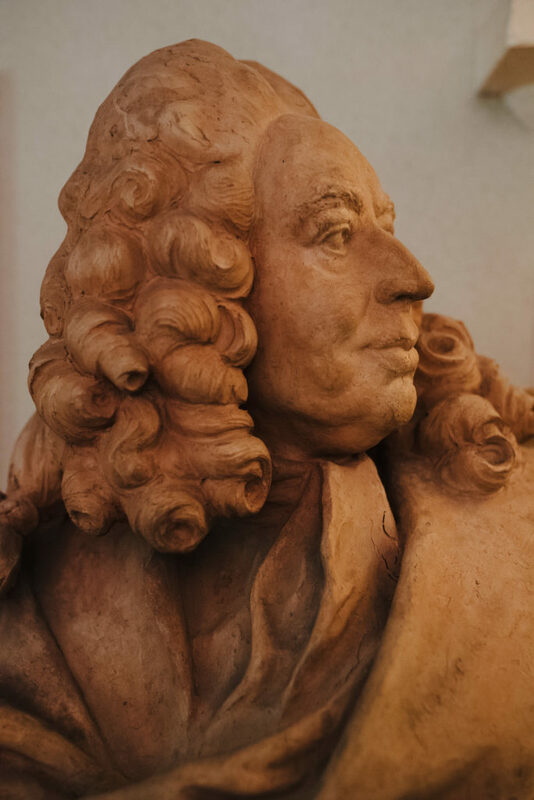 Can you tell us a funny anecdote about a time when you bought some of the most significant pieces of your collection? 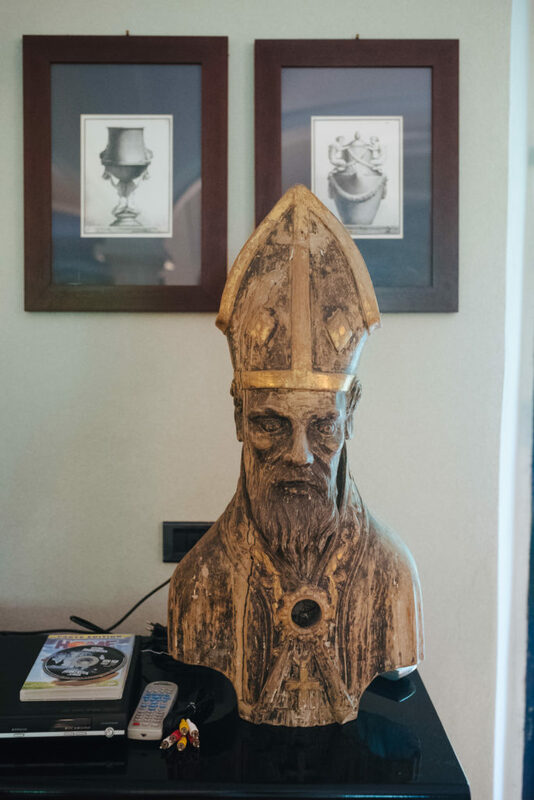 Another curious anecdote relates to the wax portraits that Francesco Orso did of Vittorio Amedeo III di Savoia and his wife, a piece that I bought in the mid ‘90s. When I saw the pieces I immediately liked them and thought about buying them, but Gianni Agnelli had already optioned them. 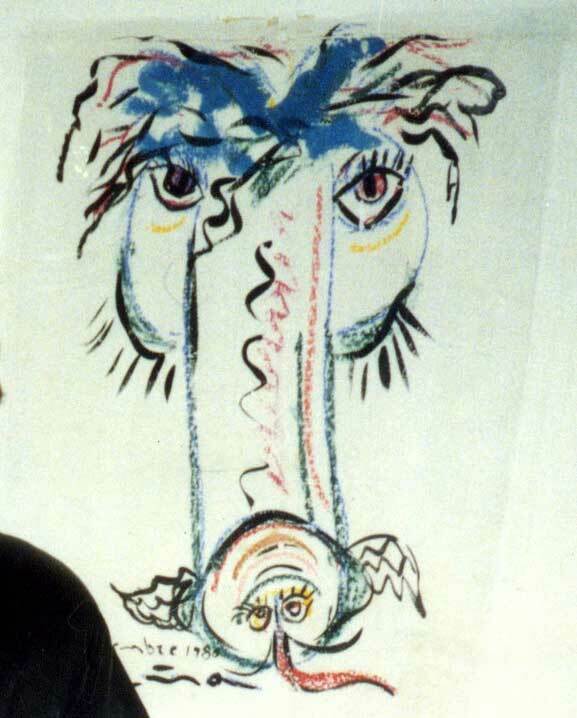 I was able to succeed in my aim not long after that: Agnelli had to give the wax portraits back to the antiquarian because his wife, Marella, found them disturbing. 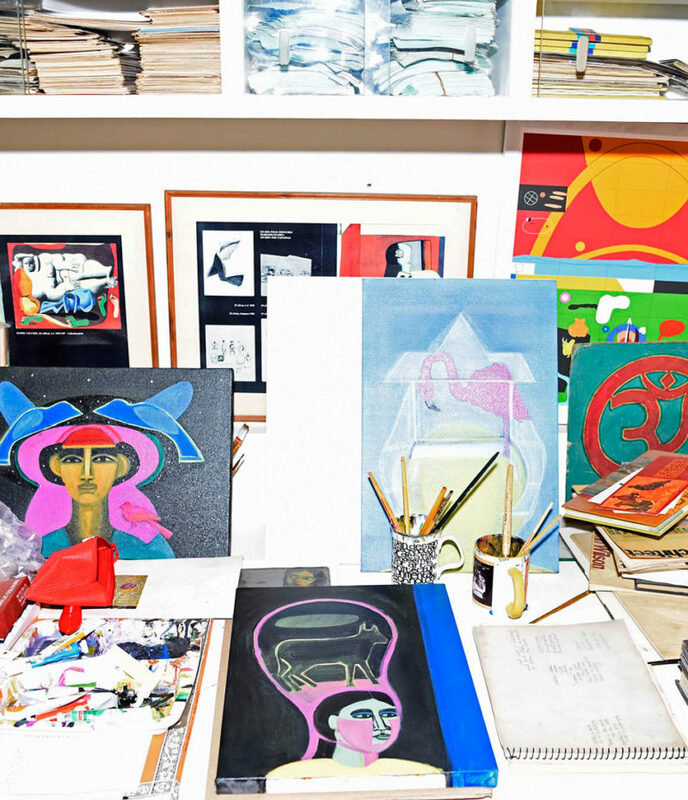 Do you still collect art? What are the last pieces you’ve added to your collection? Speaking of new additions, I must say that all my funds have recently gone into the construction of La Magione. Compulsive shopping is now only a vague memory. However, this didn’t prevent me from buying the big boiserie of the Pirlo di Saló pharmacy, designed by the architect Maurizio Vantini in 1030, which was found last year on the antiquarian market—a true example of beauty. After our chat, we go to see the new wing of the museum, dedicated to temporary exhibitions, which will contain the newly acquired boiserie, and which is destined to become the library. 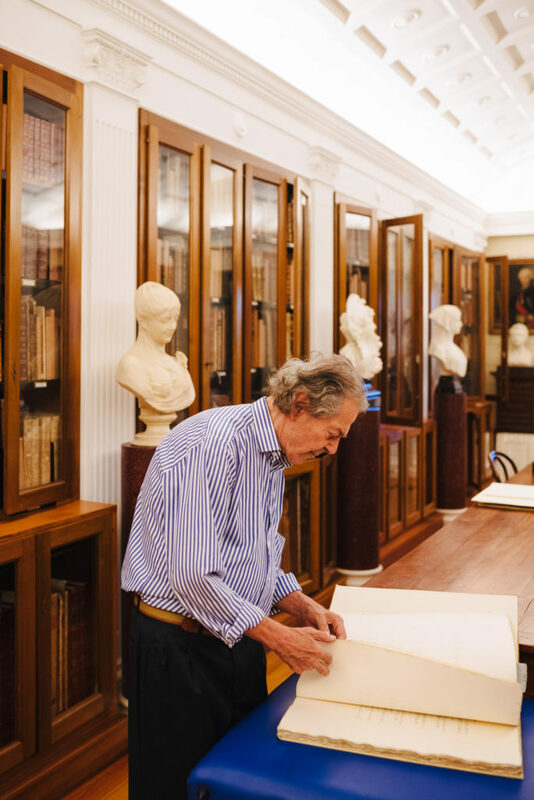 It really is another example of true beauty: a sumptuous parade of books, a library of hard work honouring, once again, the most precious thing to ever move Franco Maria Ricci’s soul—and which is able to unite the two things this man is most knowledgeable about: books and beauty. 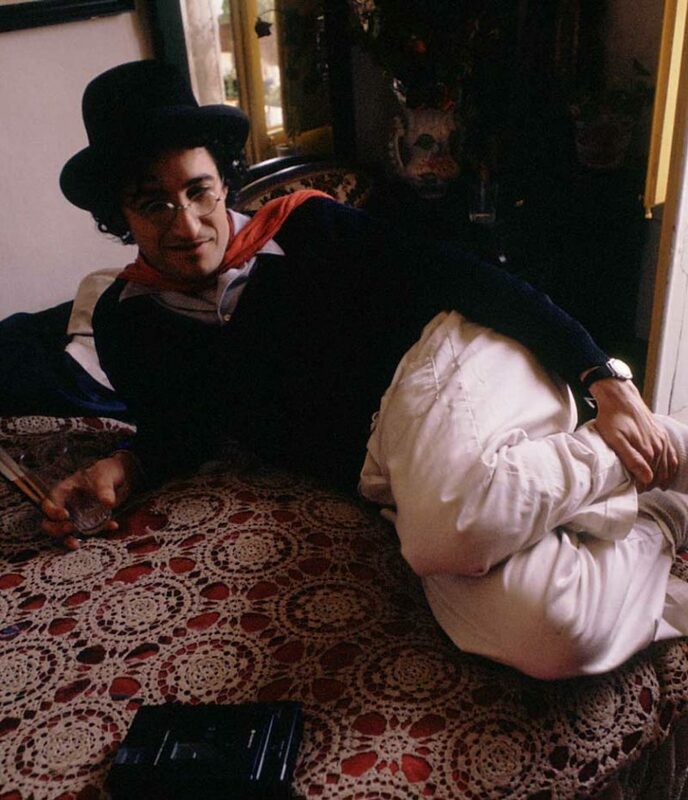 All archival images courtesy of Franco Maria Ricci photo archive.